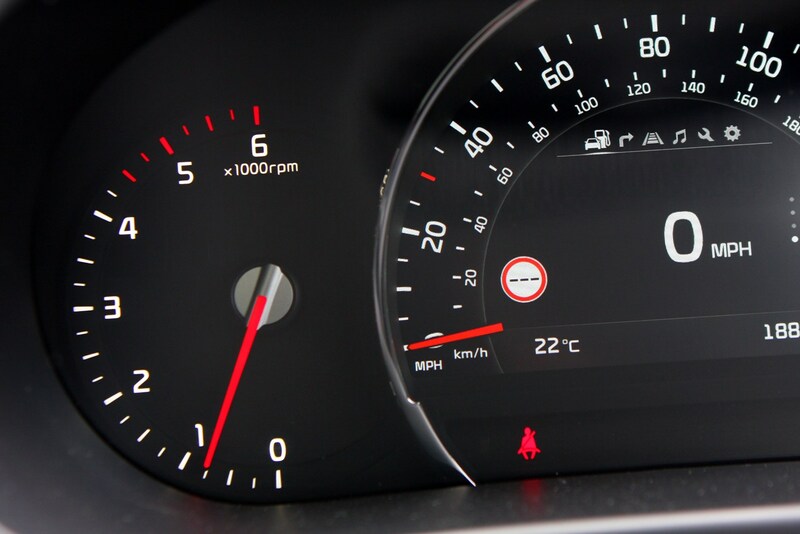 Insurance group: 24 - 28 How much is it to insure? 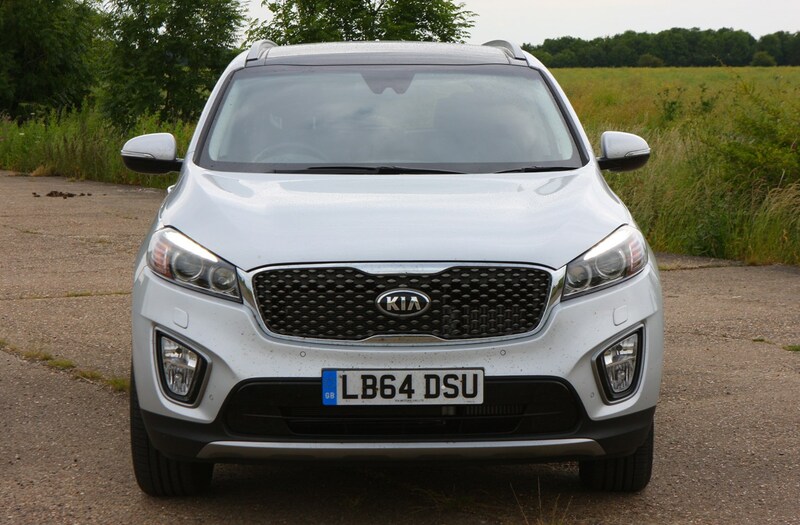 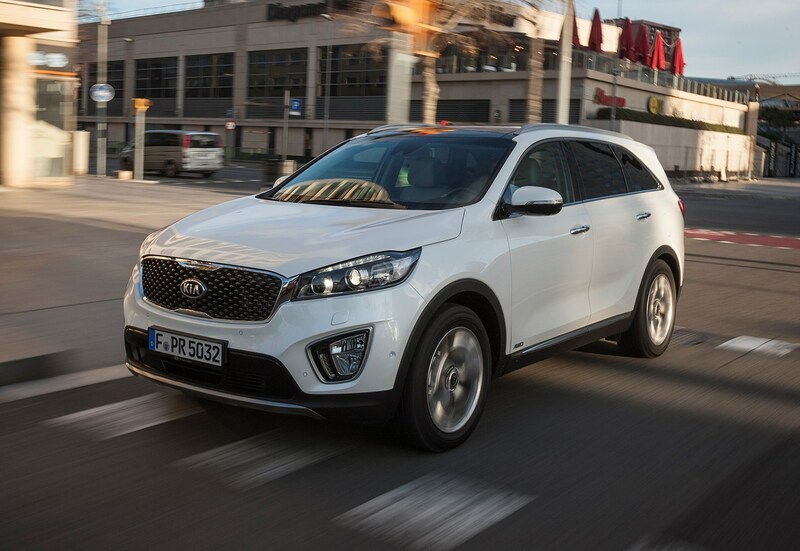 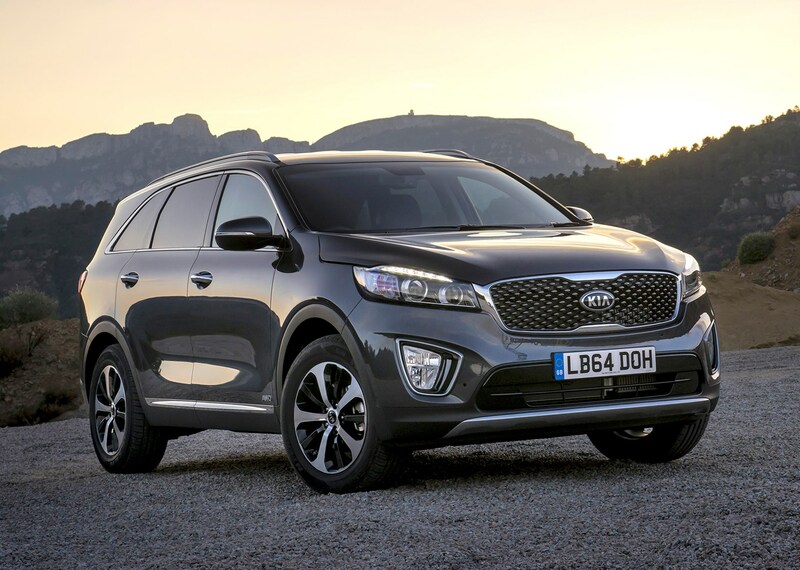 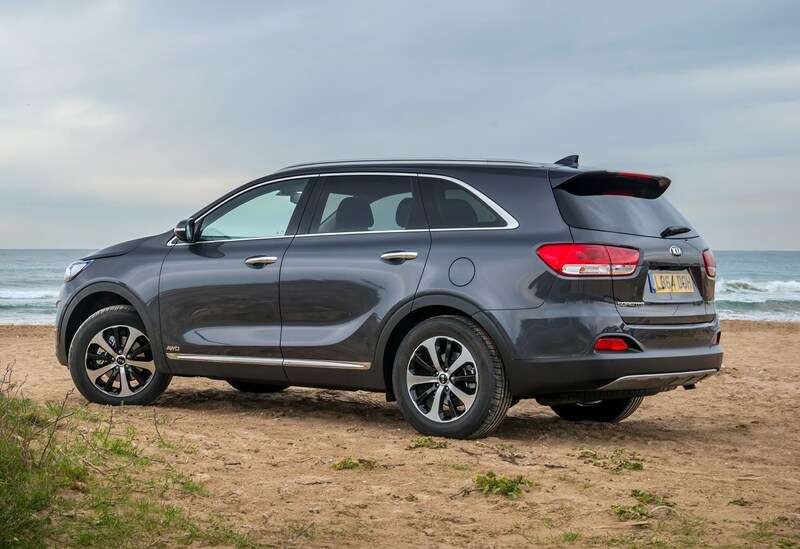 Buyers of large 4x4s have warmed to the previous two generations of Kia Sorento, appreciating its spaciousness, value for money and market-leading seven-year warranty. 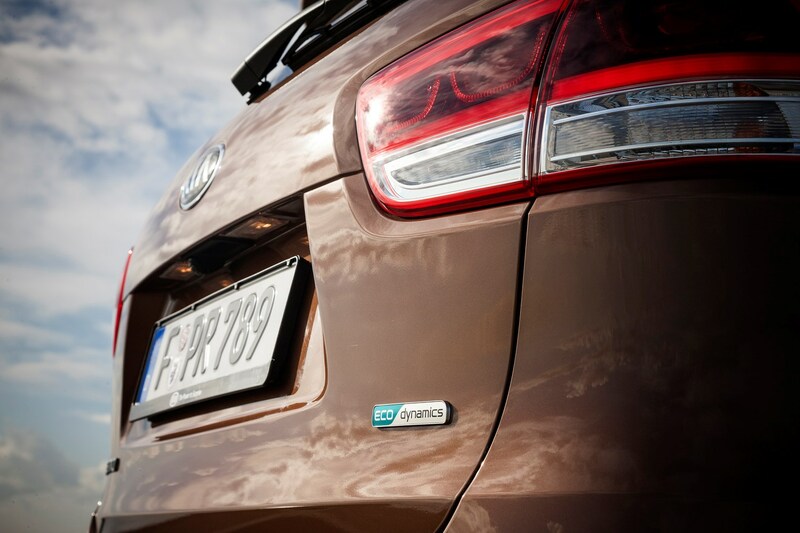 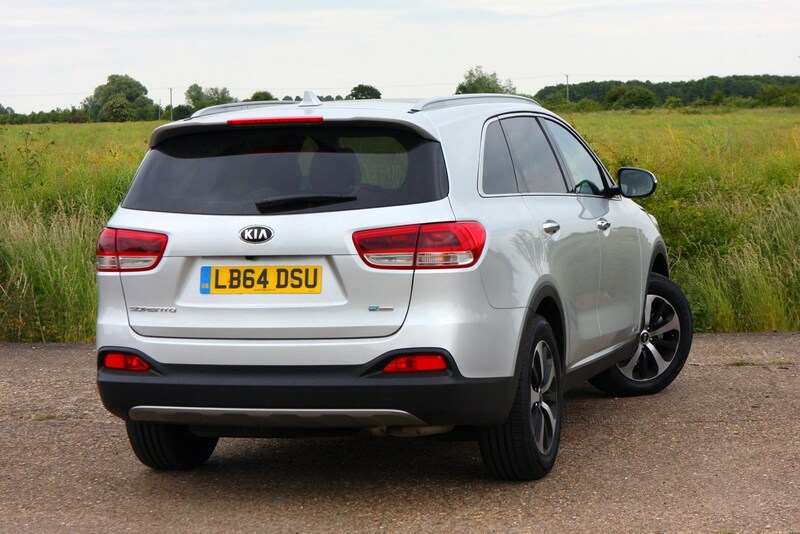 With this latest model, Kia’s attempted to add desirability into the proposition too. 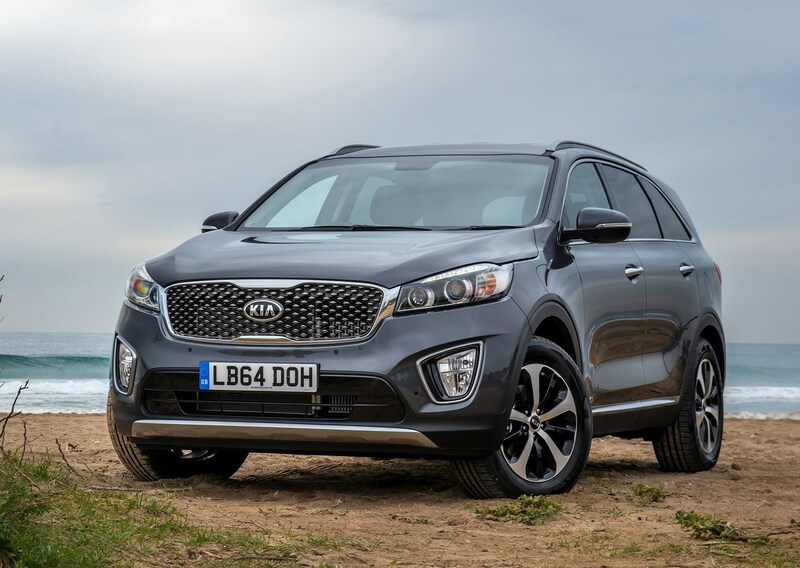 Larger, better-equipped and more expensive than before, has Kia’s largest model got what it takes to on key players such as the related Hyundai Santa Fe, Nissan’s smaller X-Trail or even Land Rover’s premium Discovery Sport? 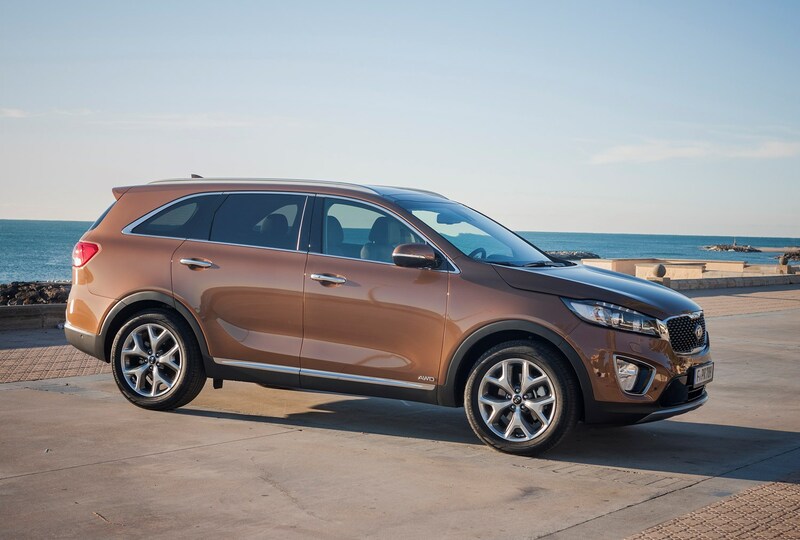 There’s no escaping the bolder interpretation of Kia’s design language employed on its latest Sorento. 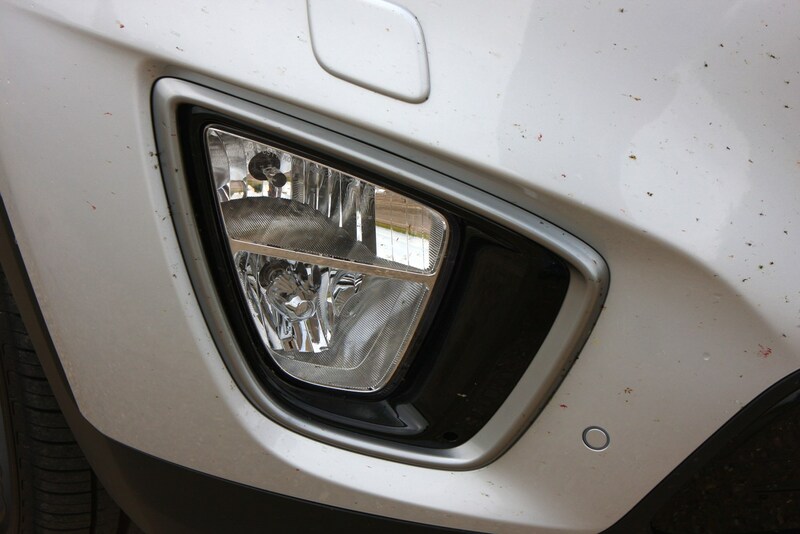 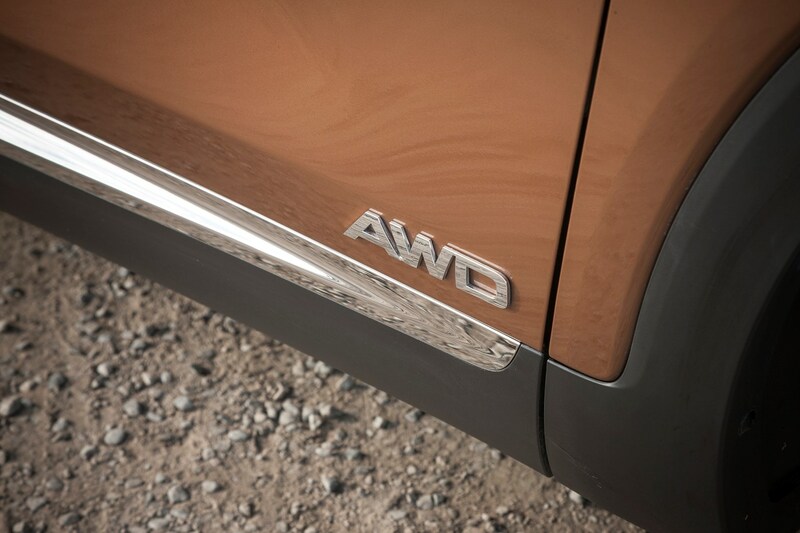 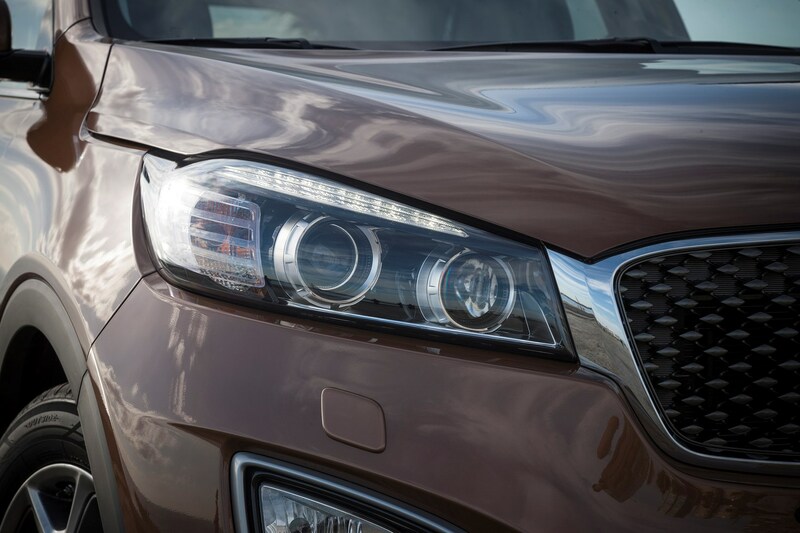 The front end is dominated by a more upright version of the firm’s ‘tiger nose’ grille, with a new floating diamond texture. 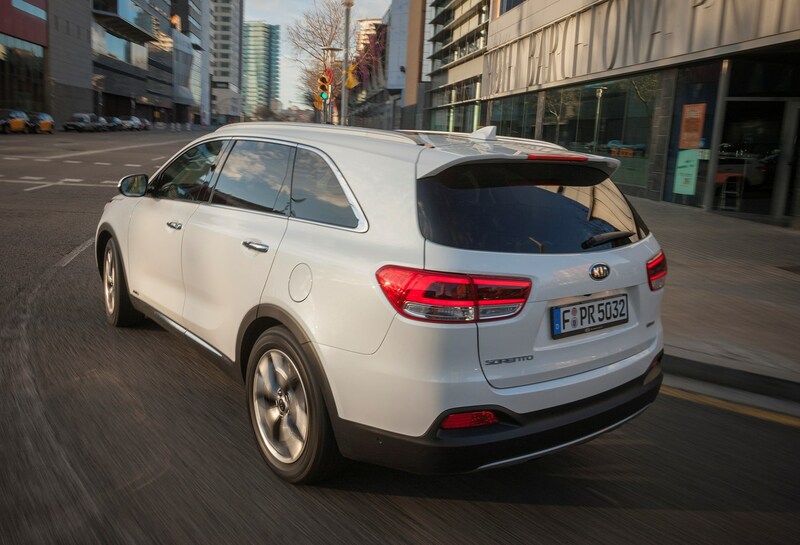 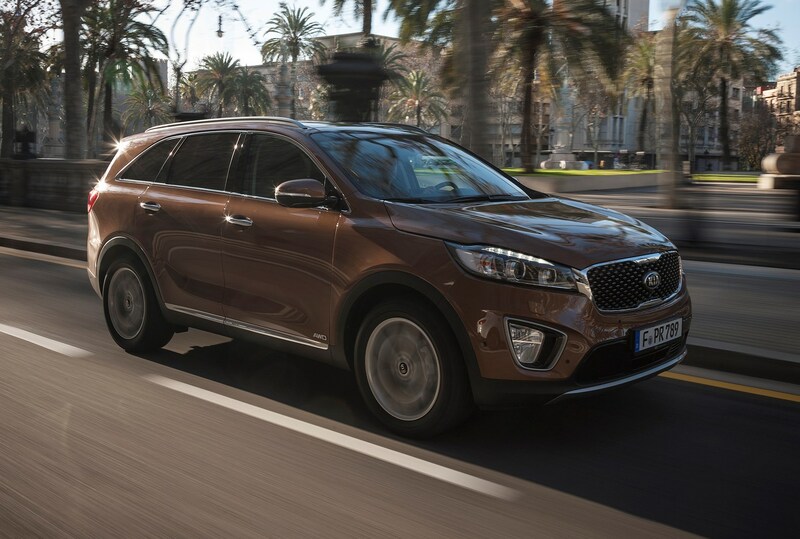 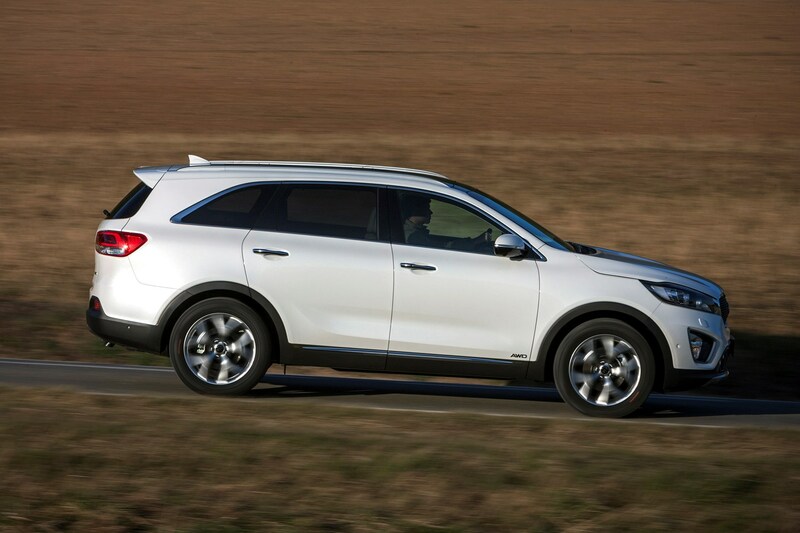 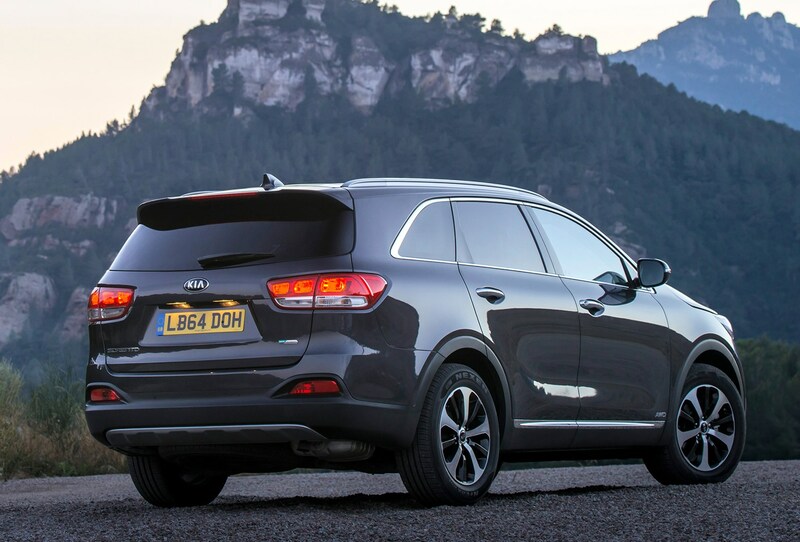 Elsewhere, the Sorento’s styling is evolutionary and enlarged, particularly at the rear where the 95mm longer bodywork liberates even more interior space, making the standard third row of seats habitable by more than just children. 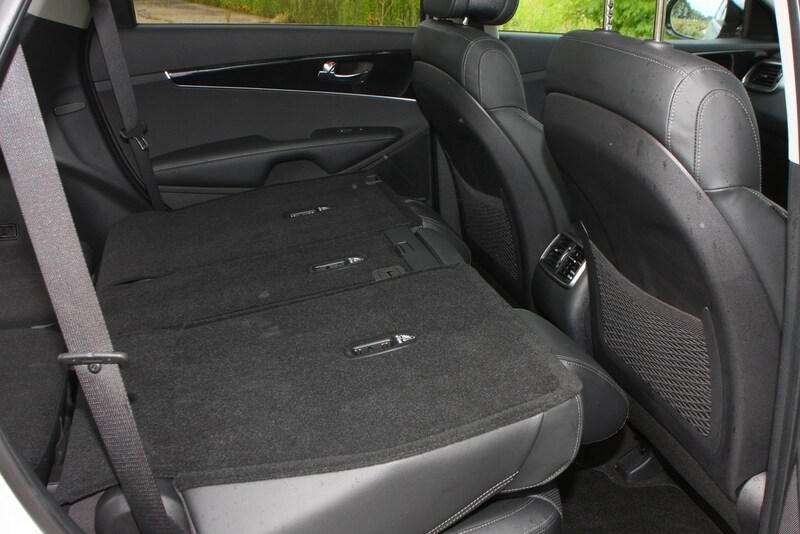 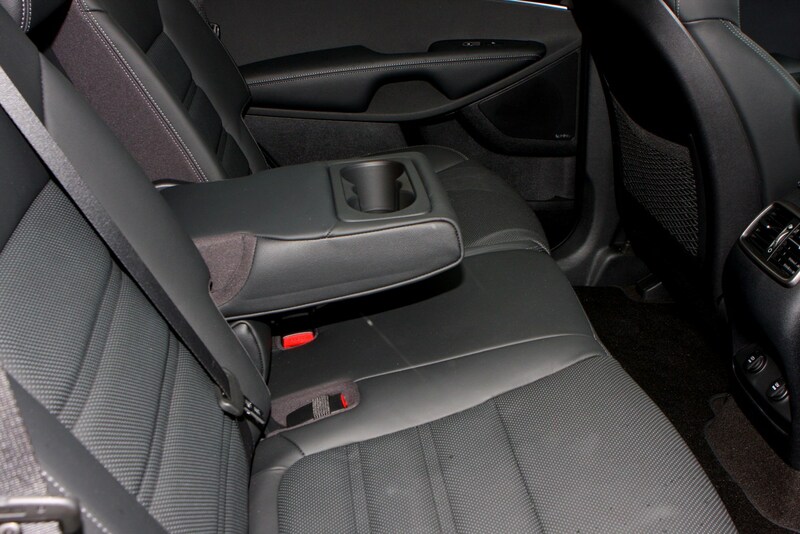 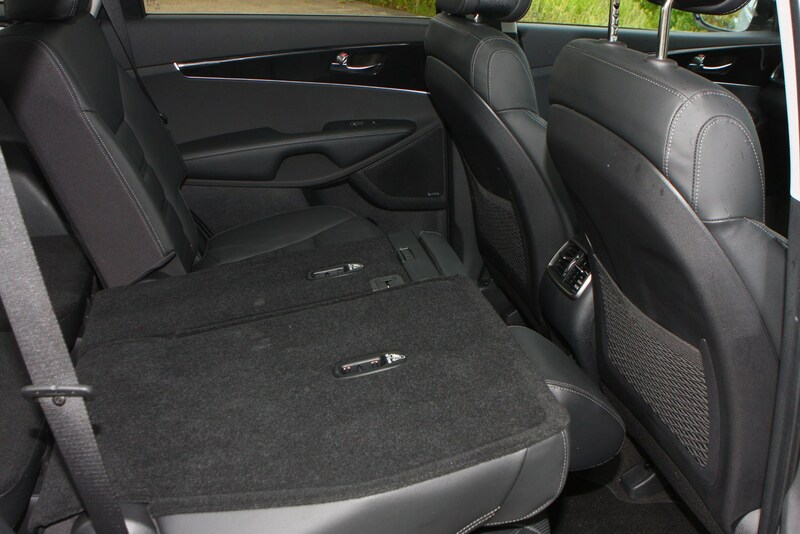 Also benefitting interior space and practicality are an increased wheelbase (80mm greater than before) and a middle row of seats which split 40/20/40, making it significantly more flexible when varying passenger and luggage requirements. 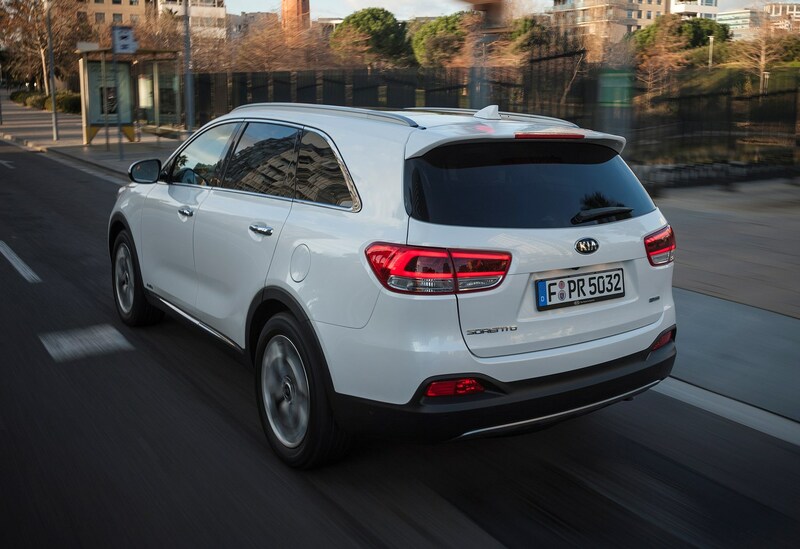 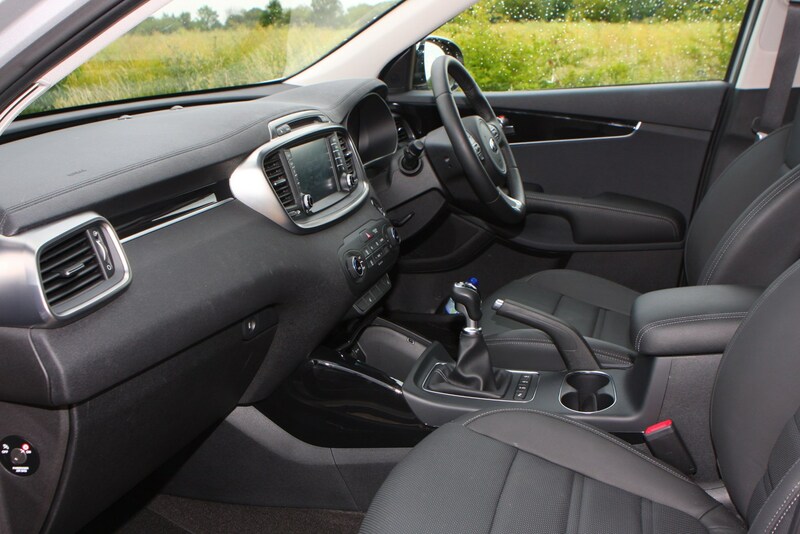 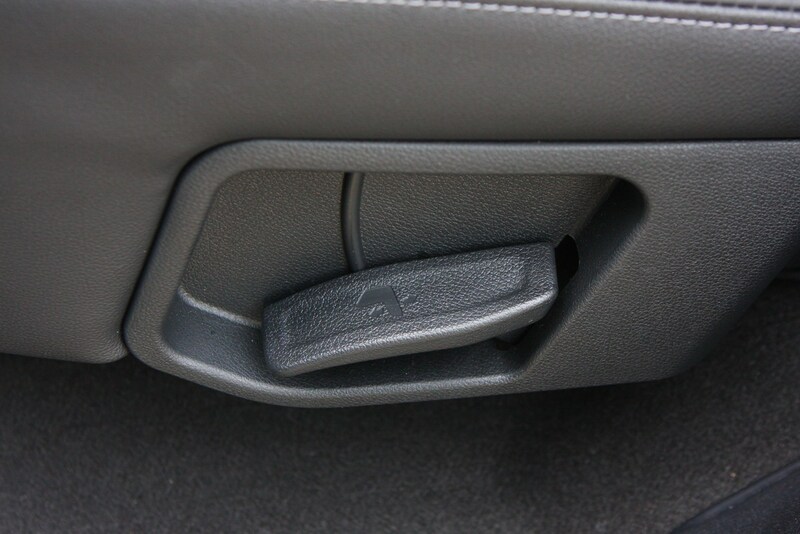 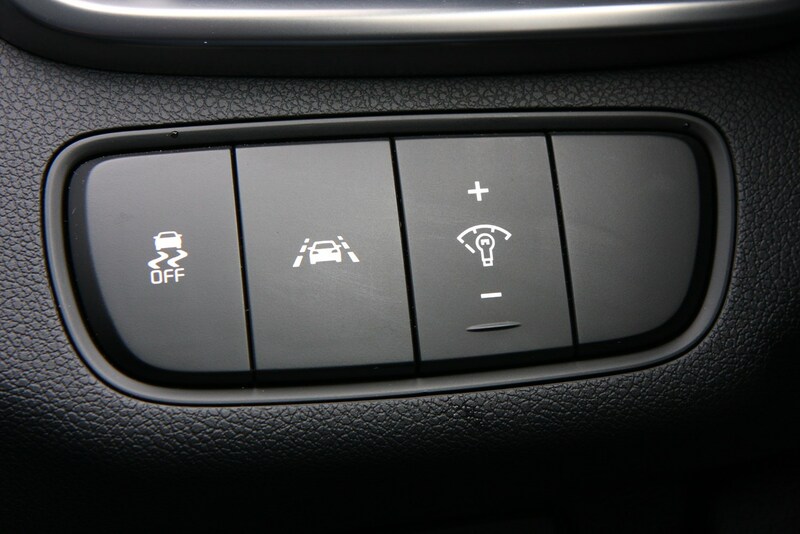 That middle row of seats also tip and slide forwards on the latest Sorento making access to the third row much easier; UK buyers won’t be offered the five-seater version. 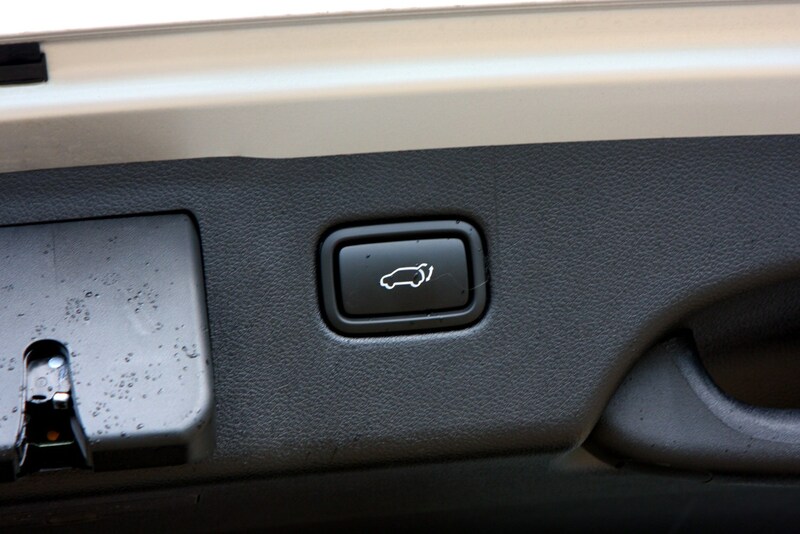 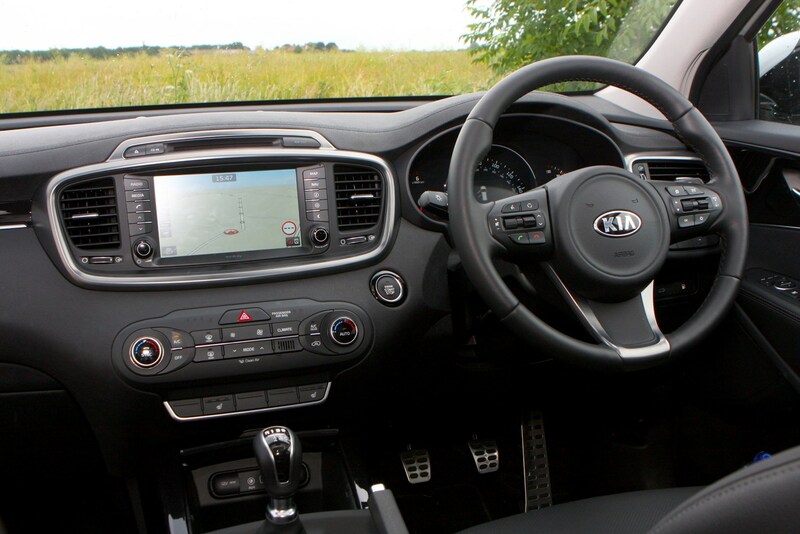 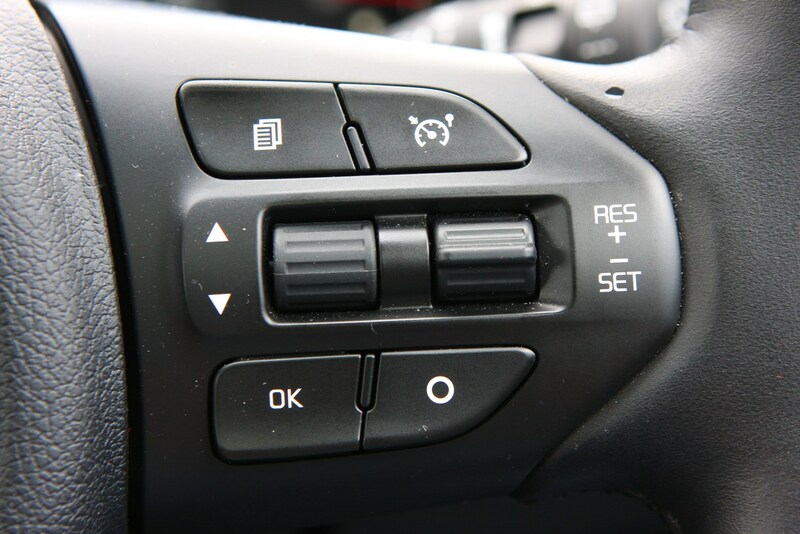 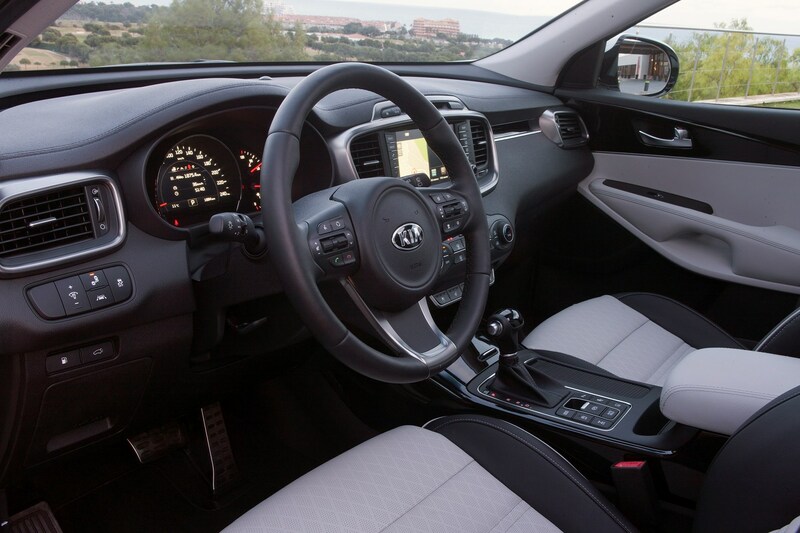 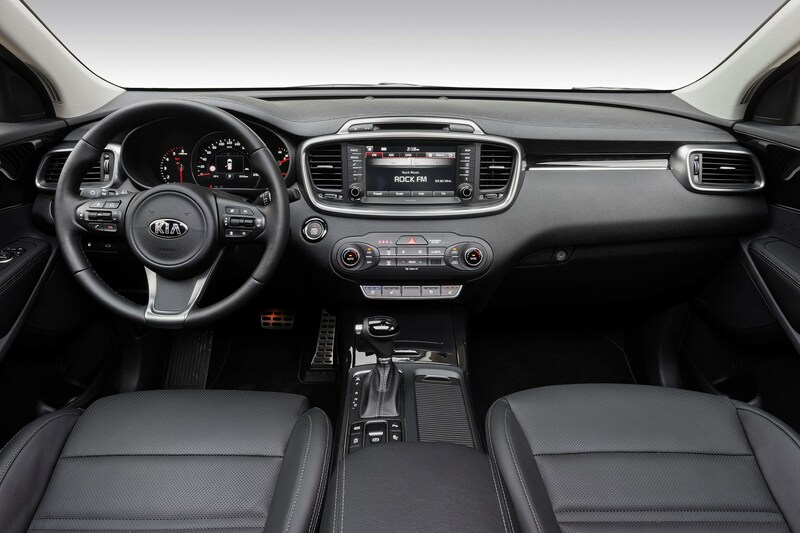 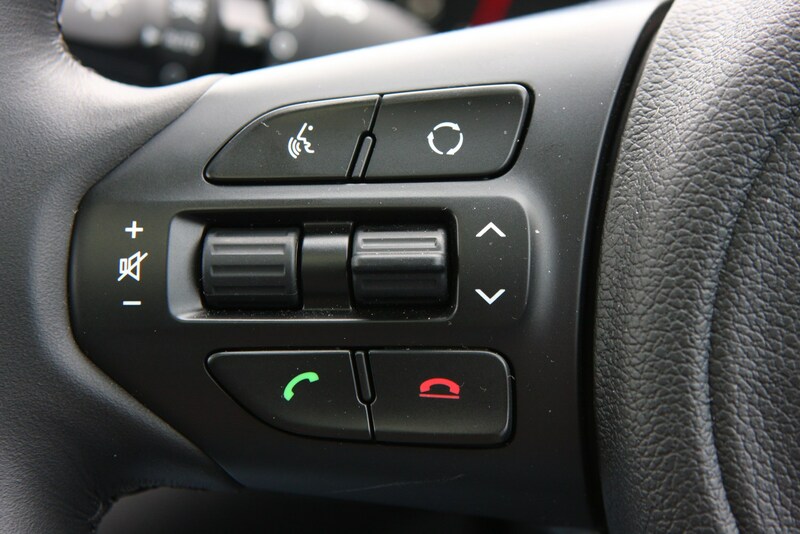 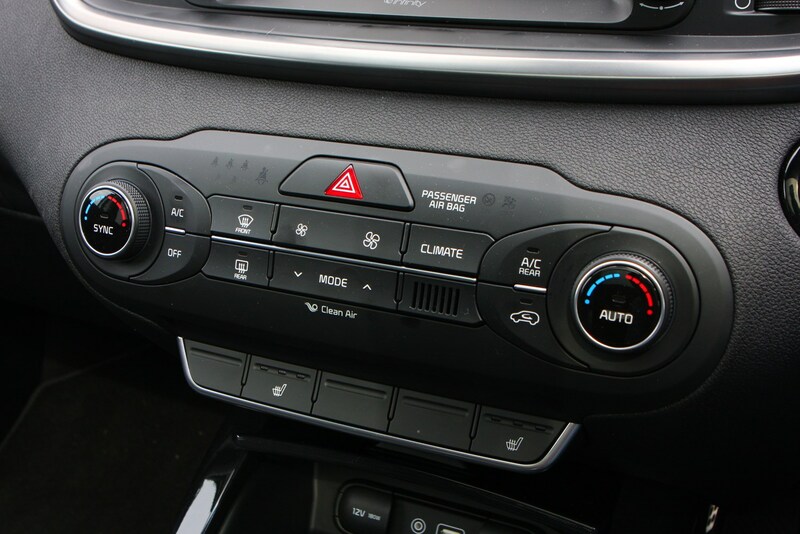 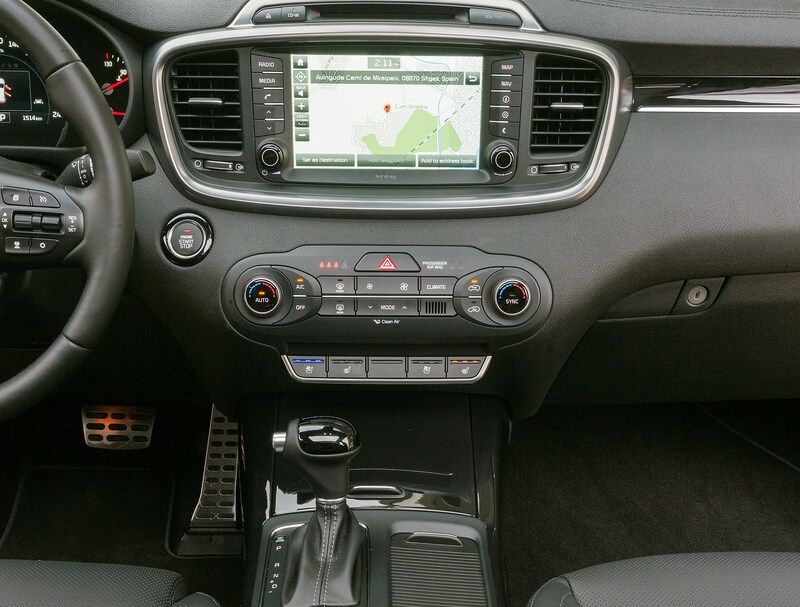 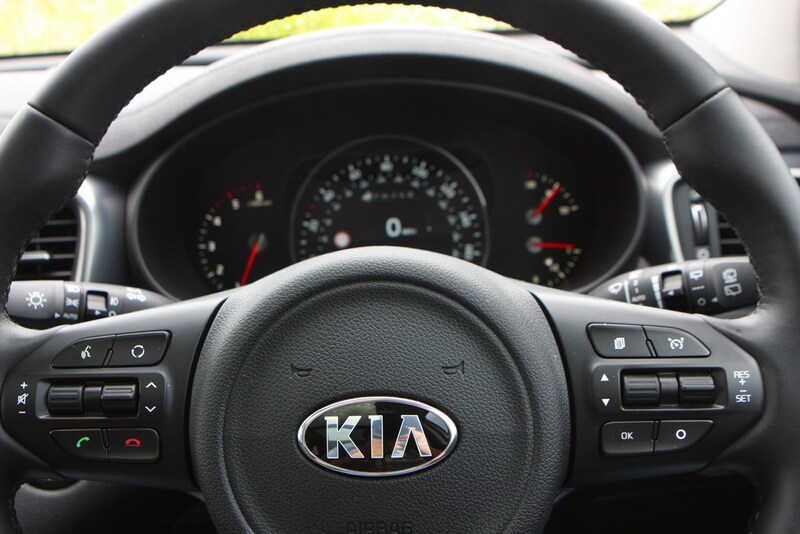 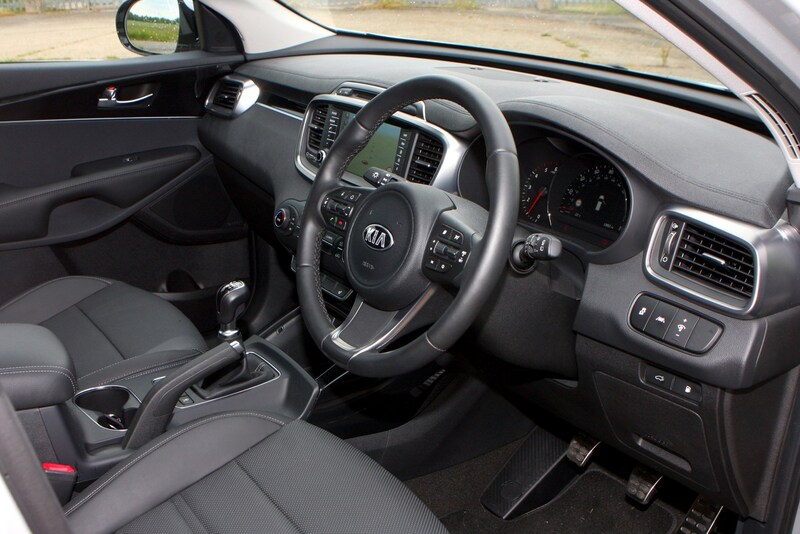 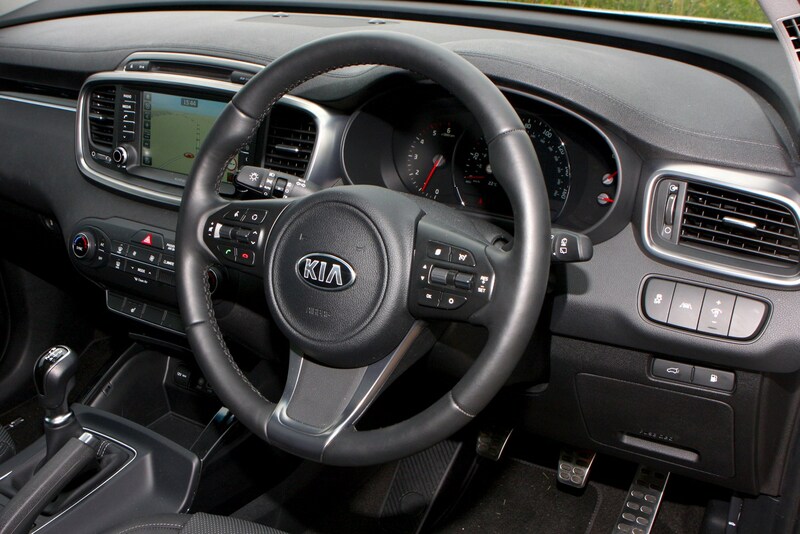 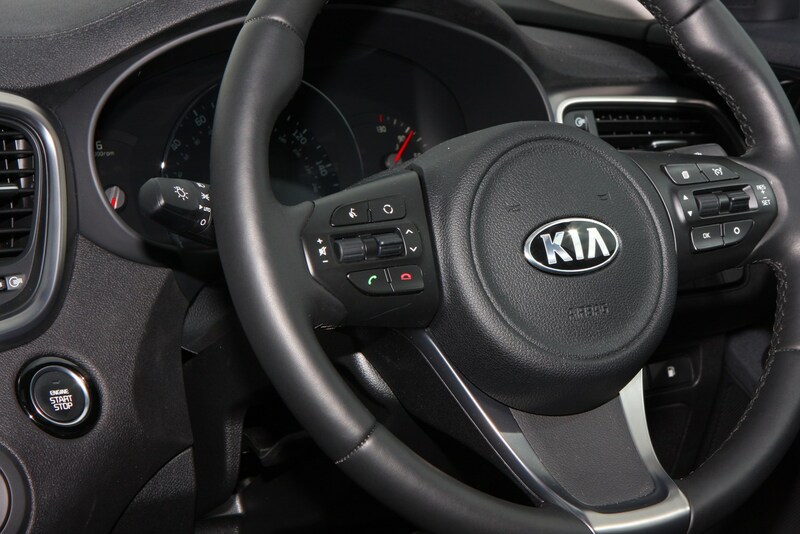 While the extra roominess is welcome, the most obvious improvement inside the Sorento are the improved plastics used on the dashboard and door panels, many of which are soft-touch items lifting the quality feel in the big Kia. 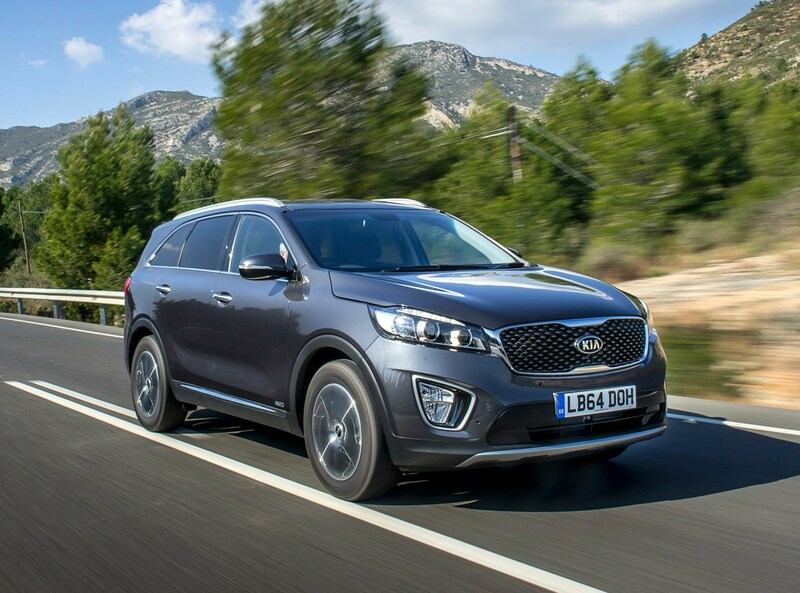 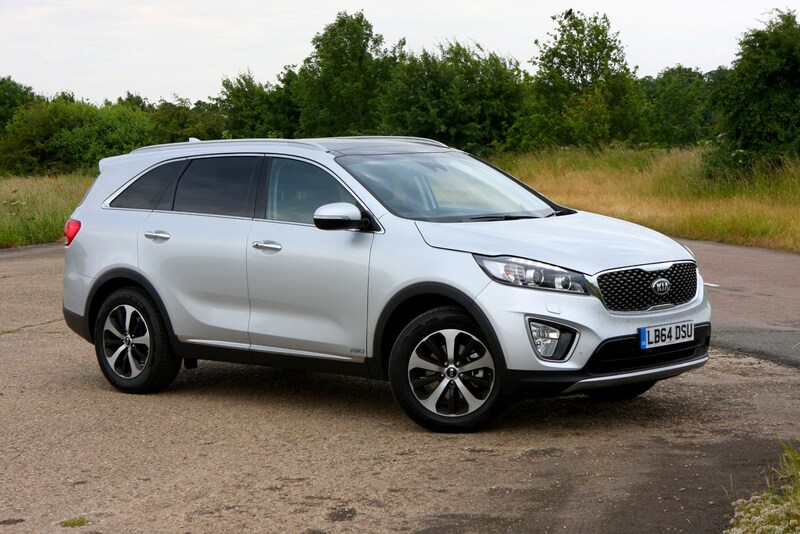 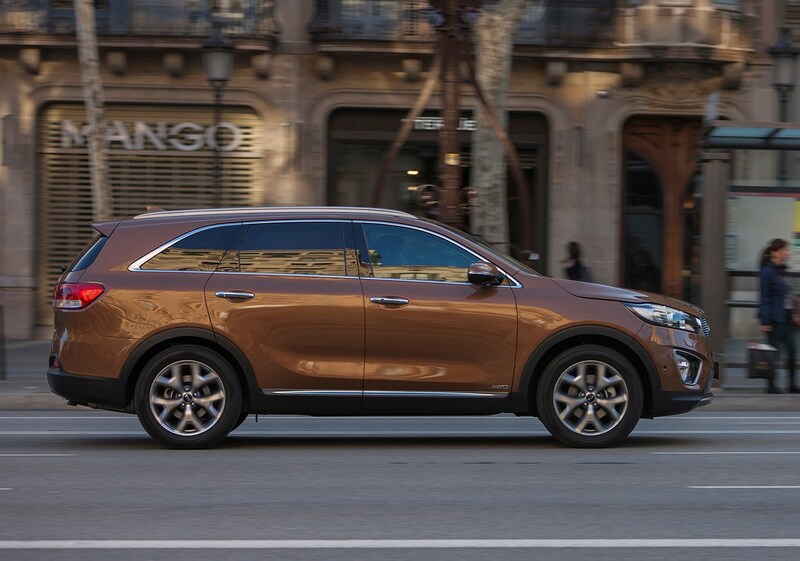 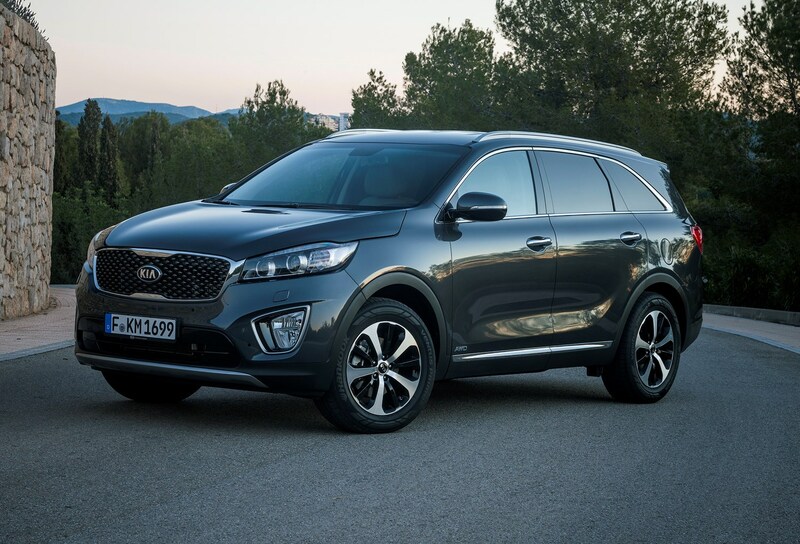 Despite other European markets offering the Kia Sorento with an engine range including a 2.0-litre diesel and a 2.4-litre petrol, all UK versions will be equipped with a 197bhp 2.2-litre diesel. 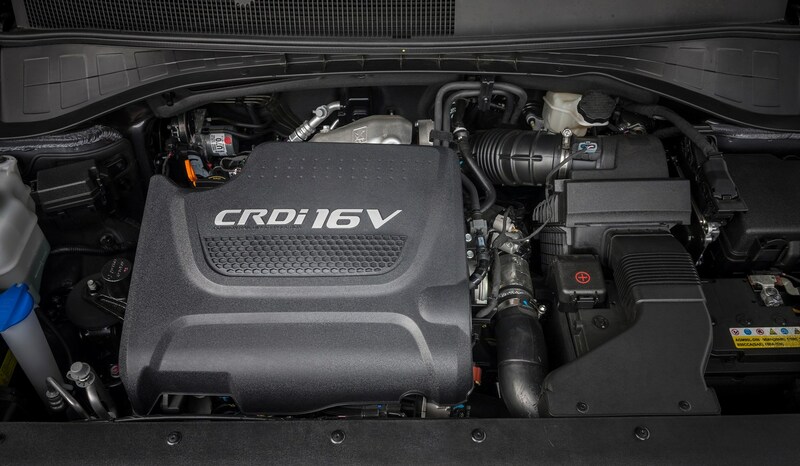 This is a wise decision as it’s more powerful, more fuel efficient and less polluting than the other choices, with versions equipped with the six-speed manual transmission emitting 149g/km. 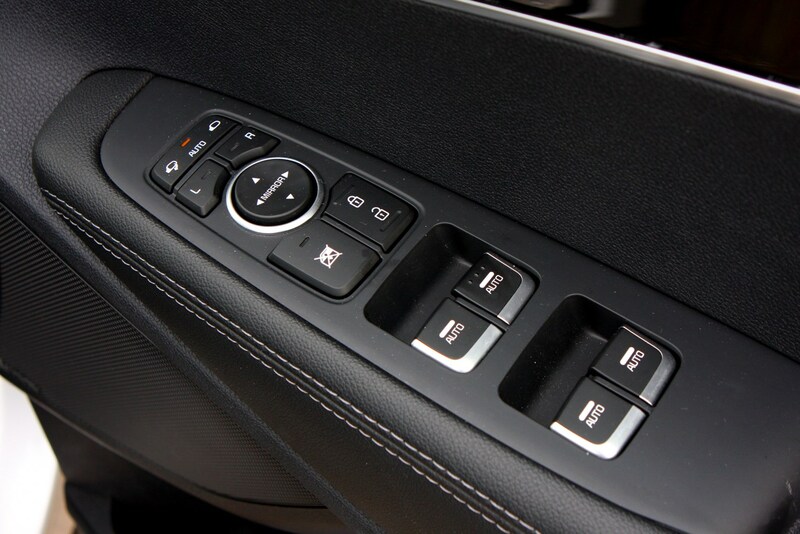 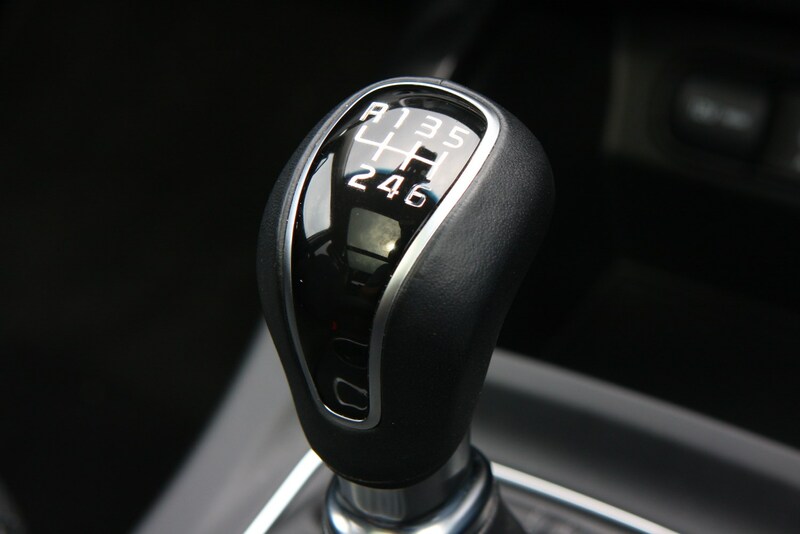 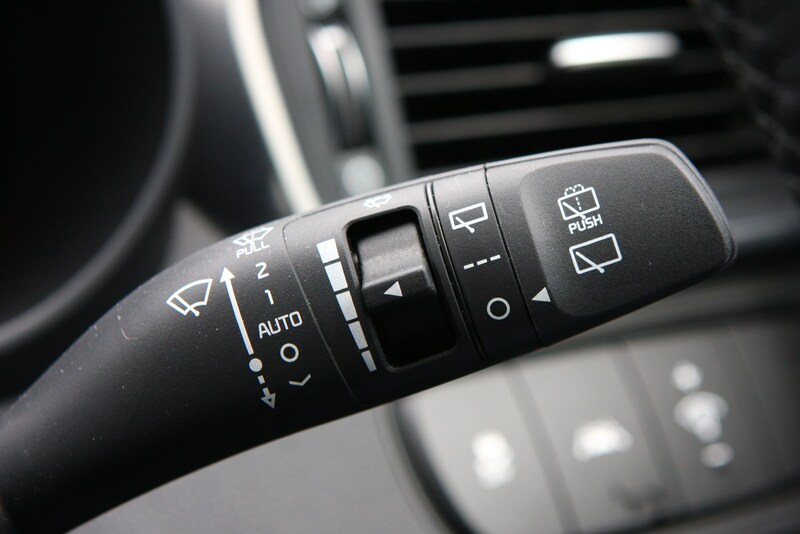 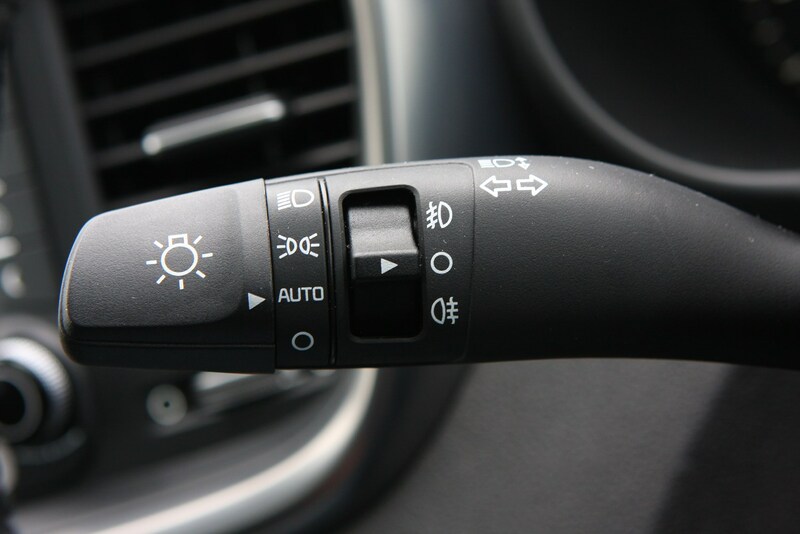 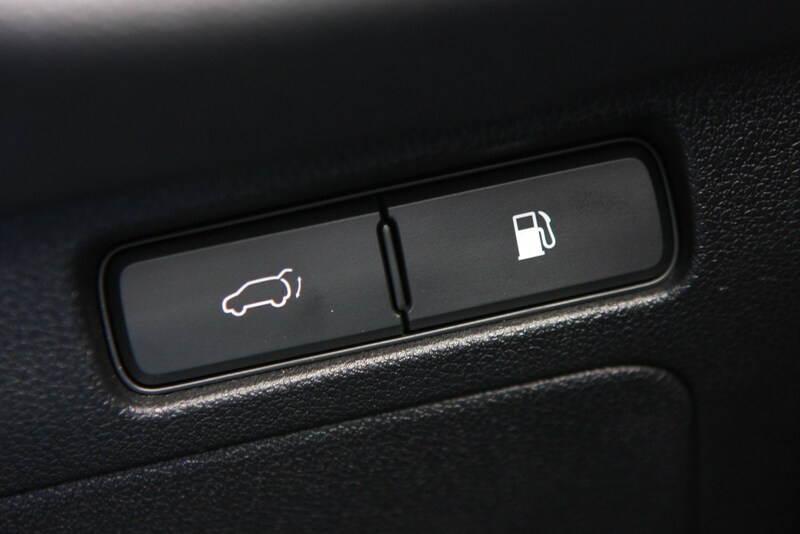 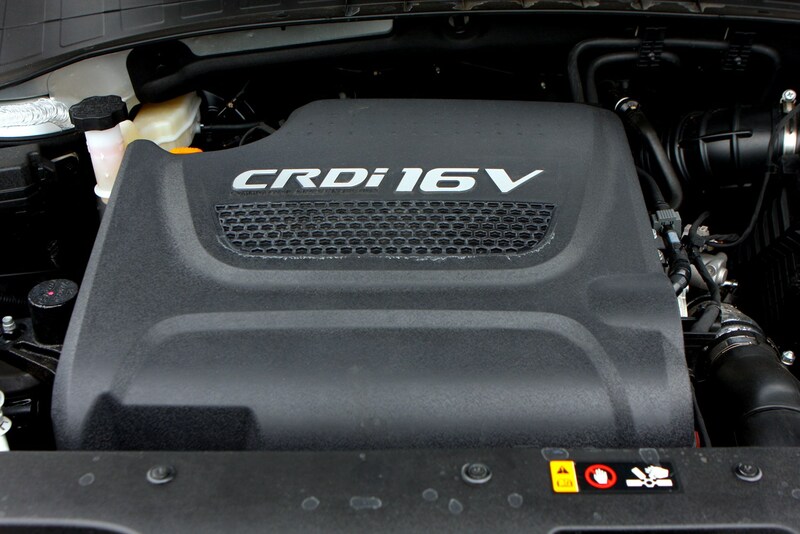 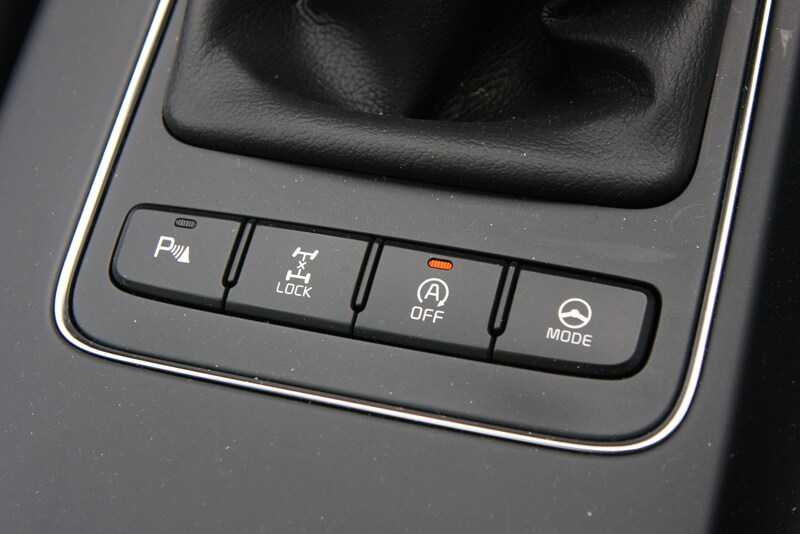 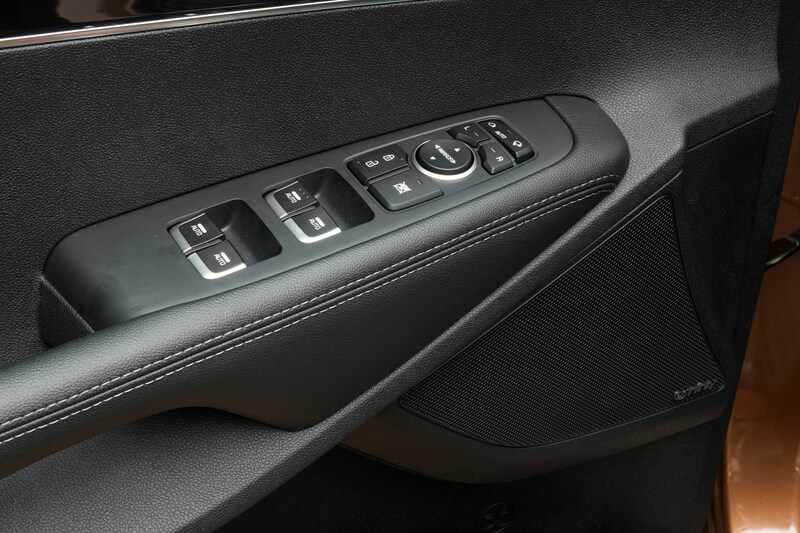 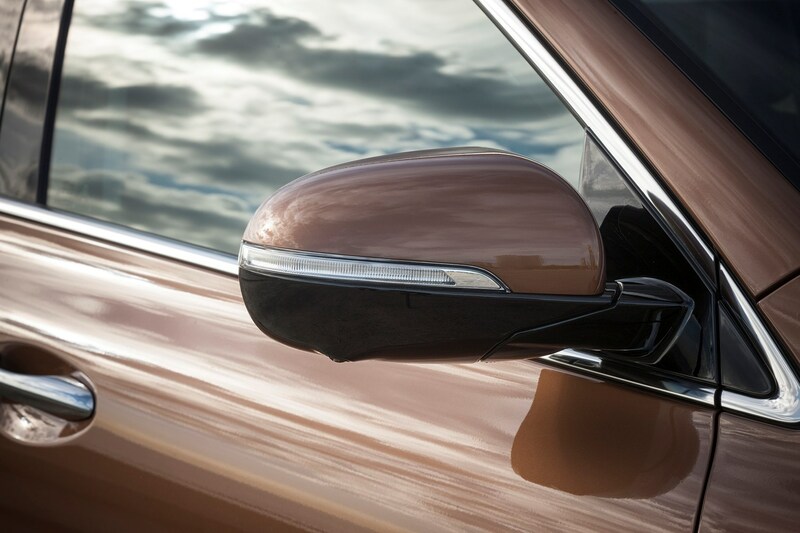 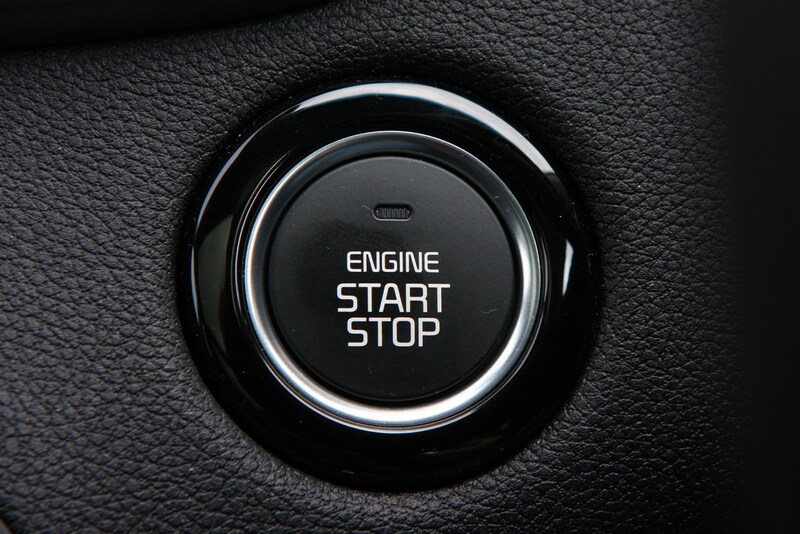 Choose the six-speed automatic and that rises to 174g/km. 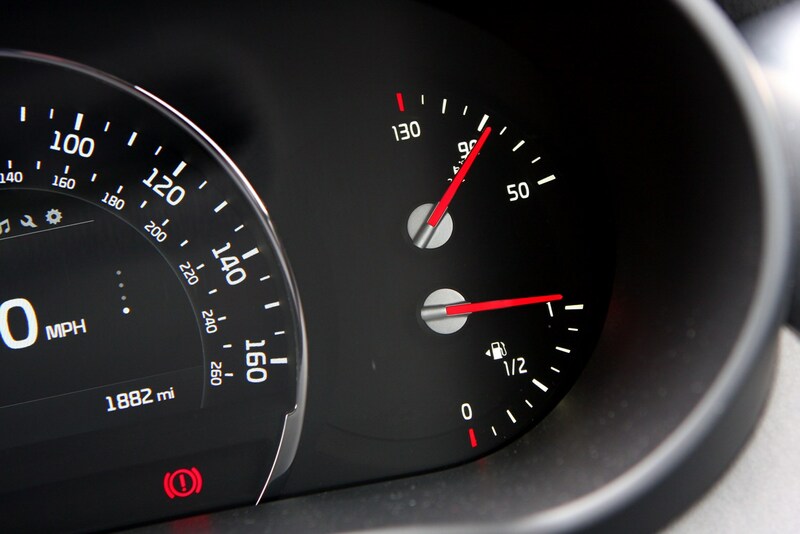 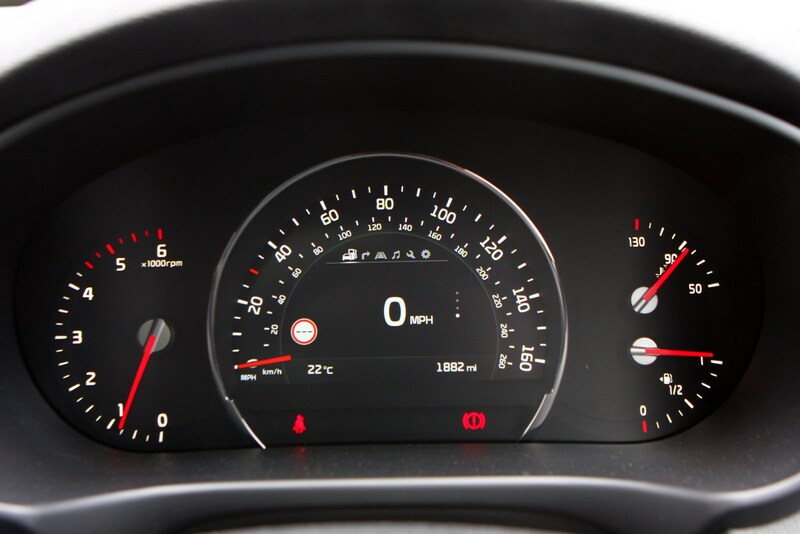 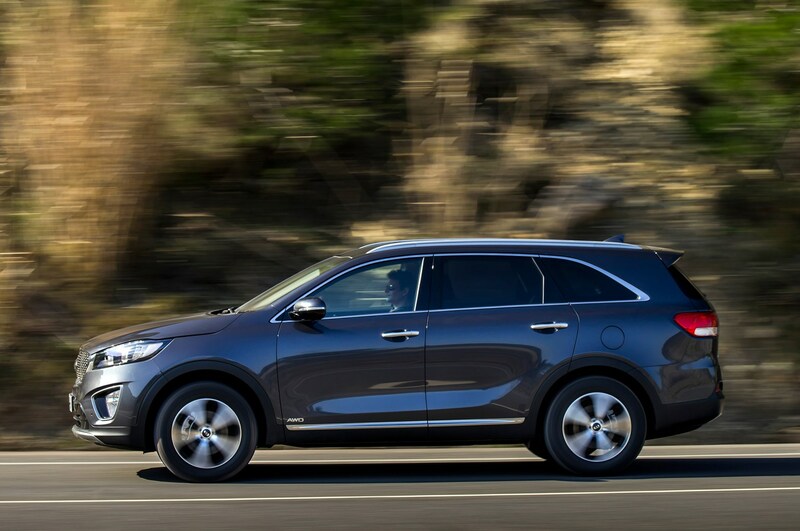 It’s no surprise that Kia’s focused on refinement and economy over performance with this motor, but choose either transmission and the Sorento will reach 62mph from standstill in under 10 seconds. 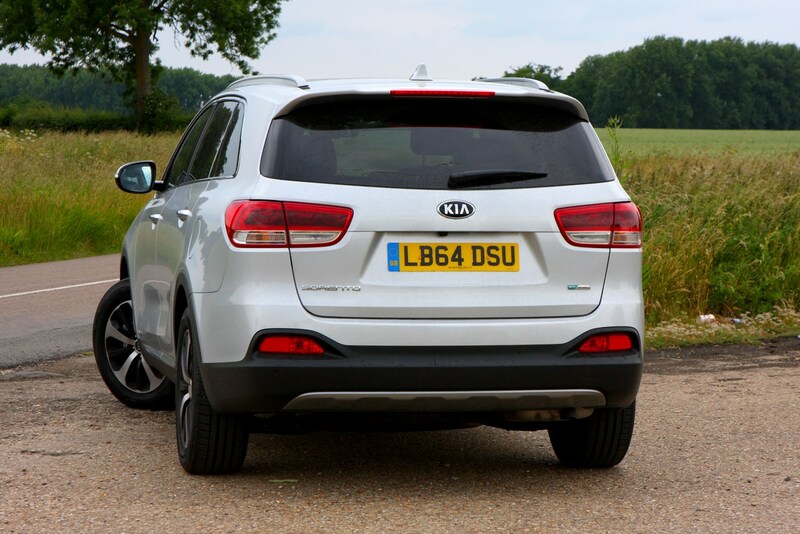 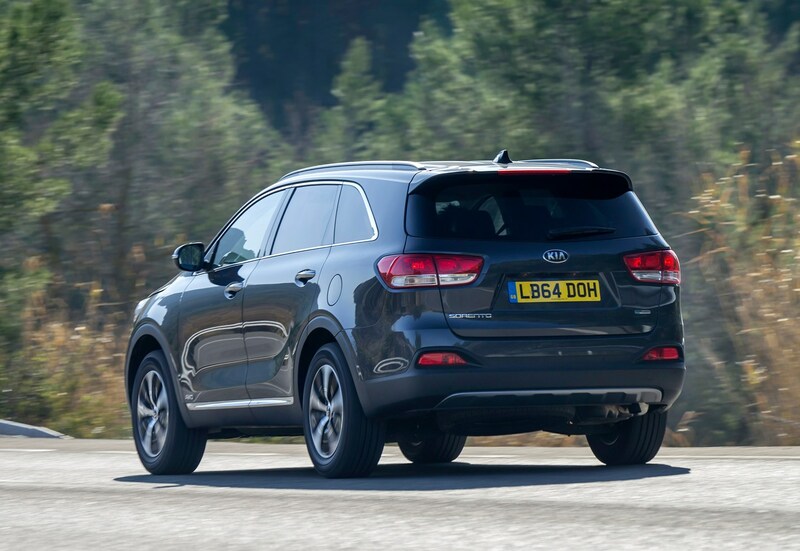 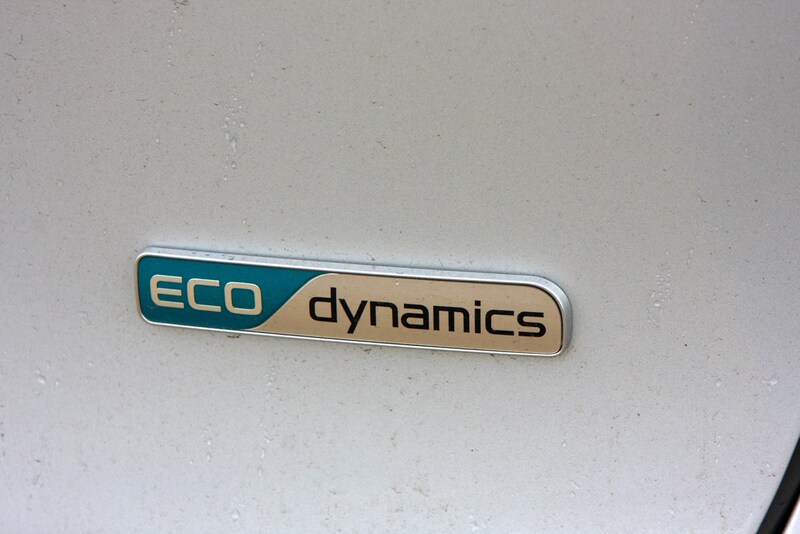 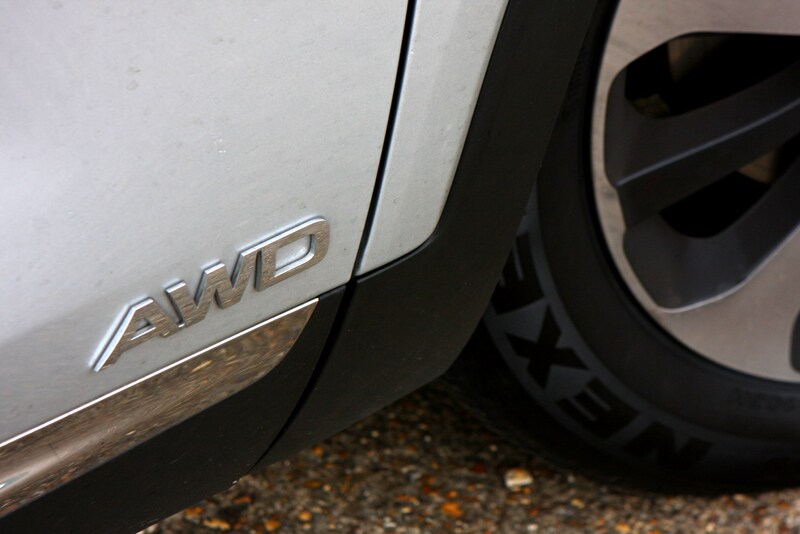 Four-wheel drive is standard on all UK-market Sorentos too. 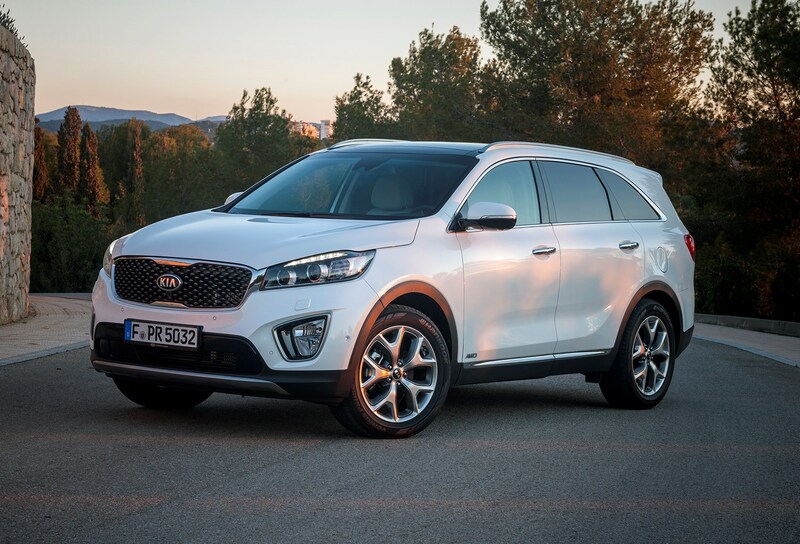 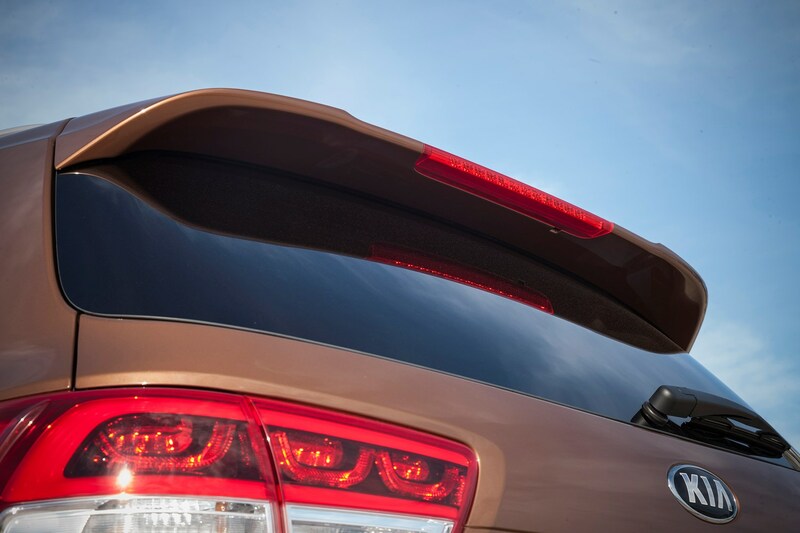 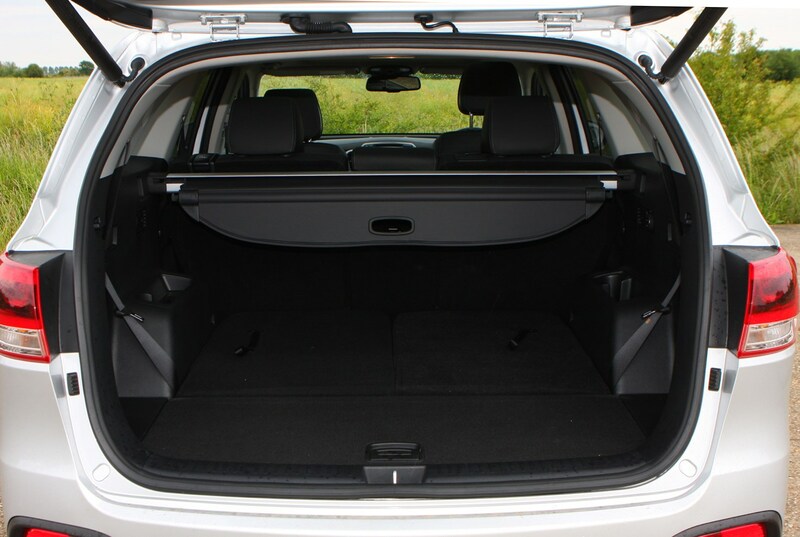 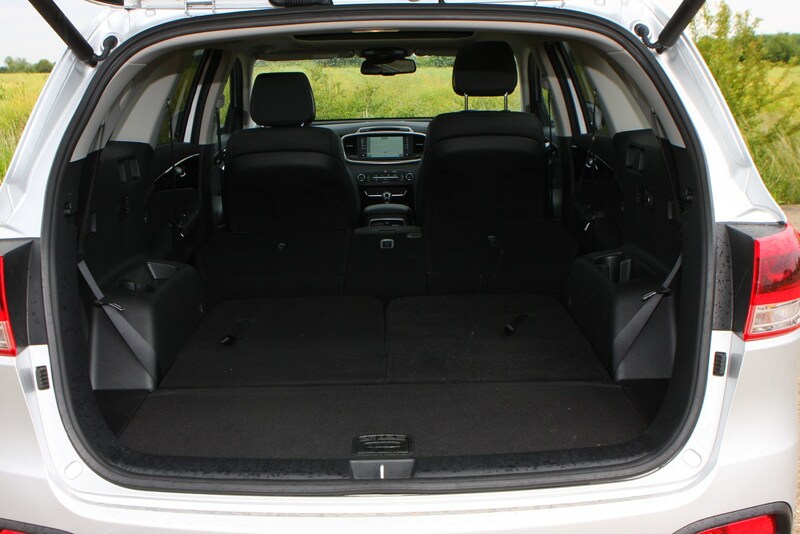 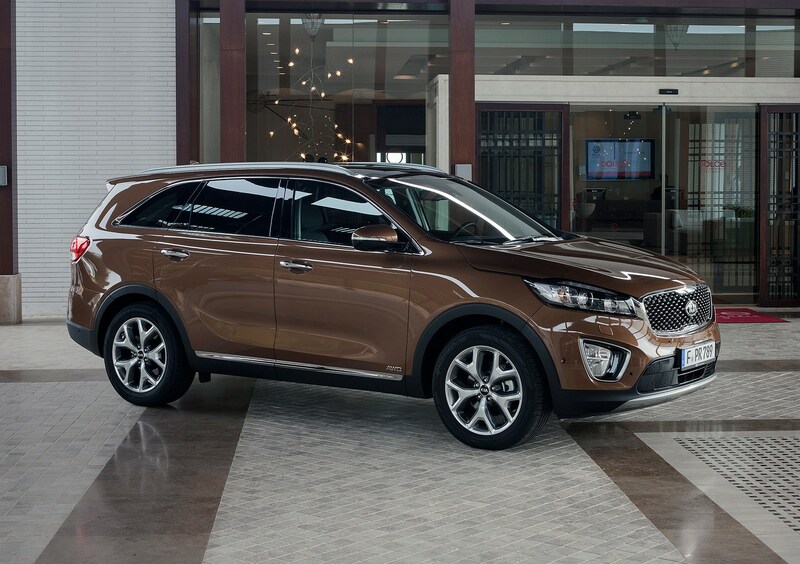 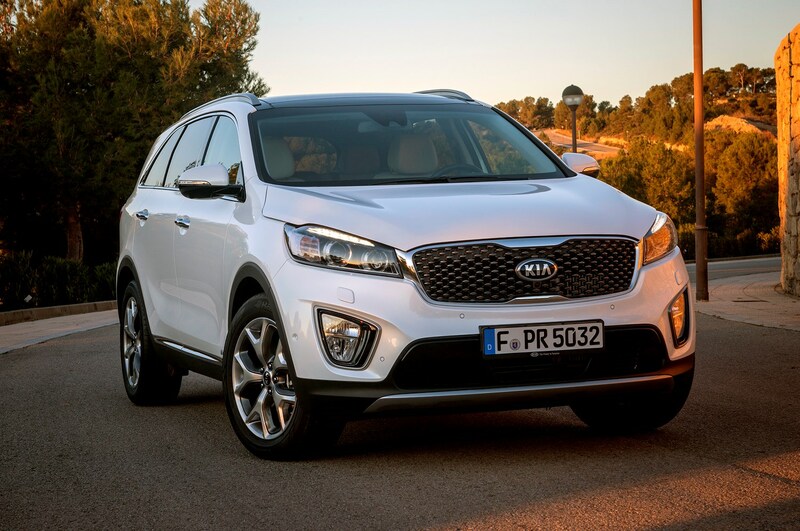 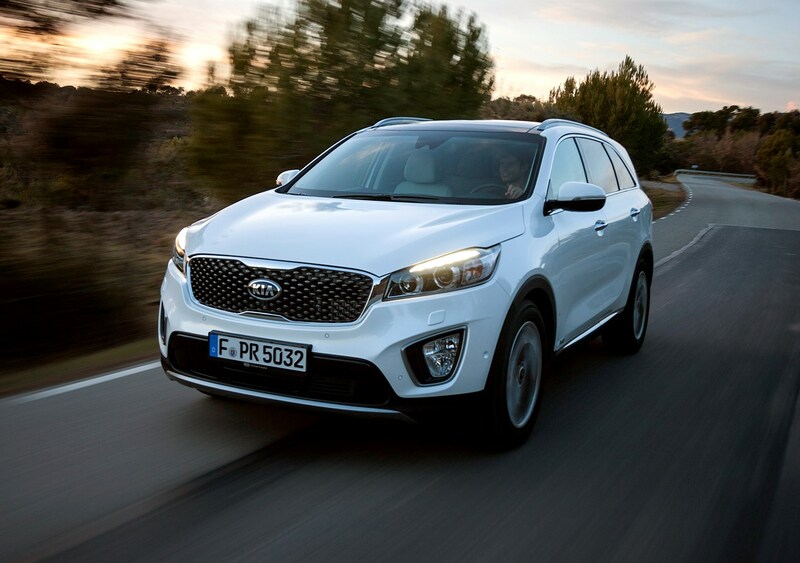 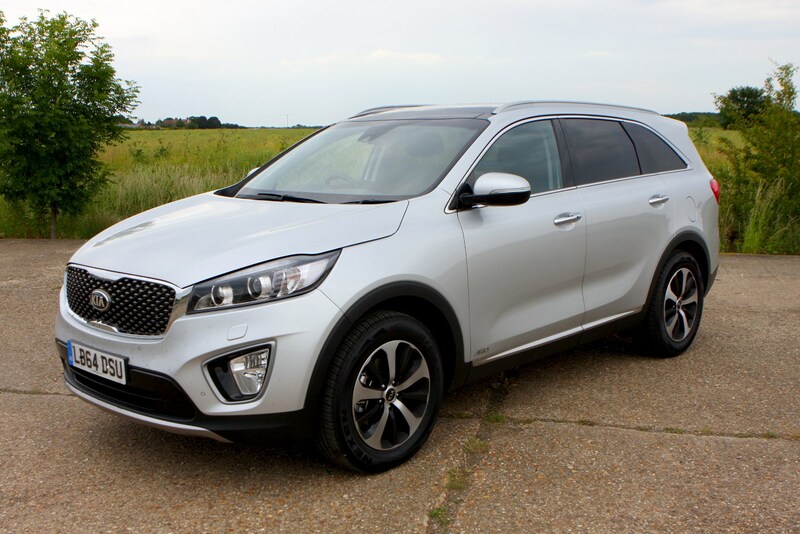 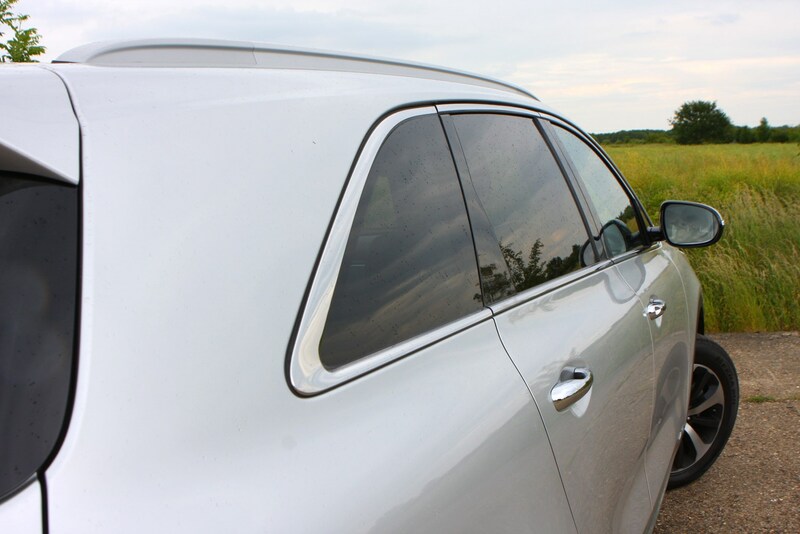 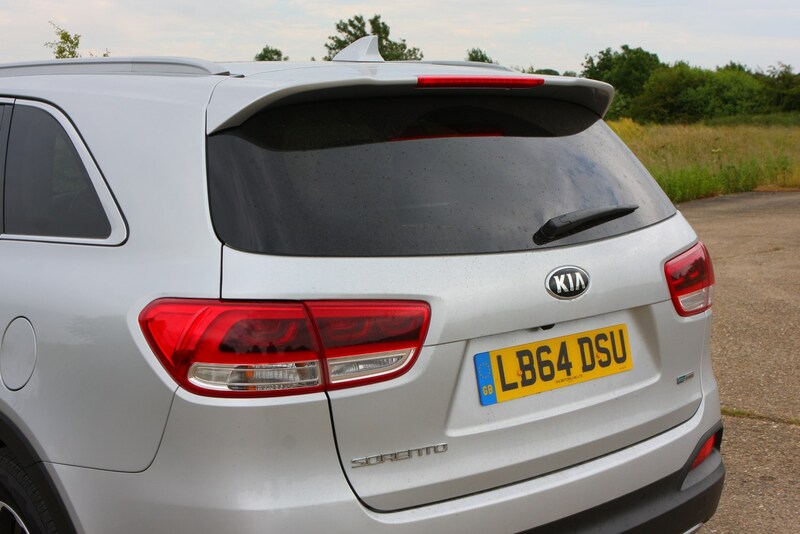 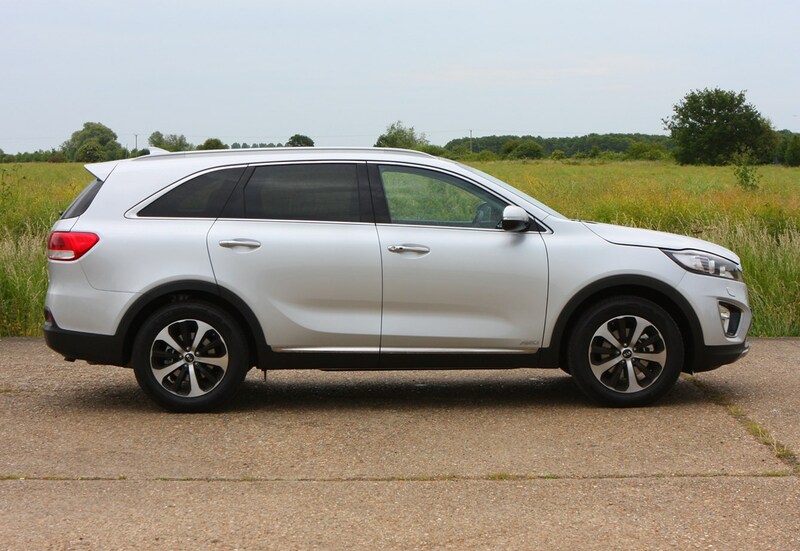 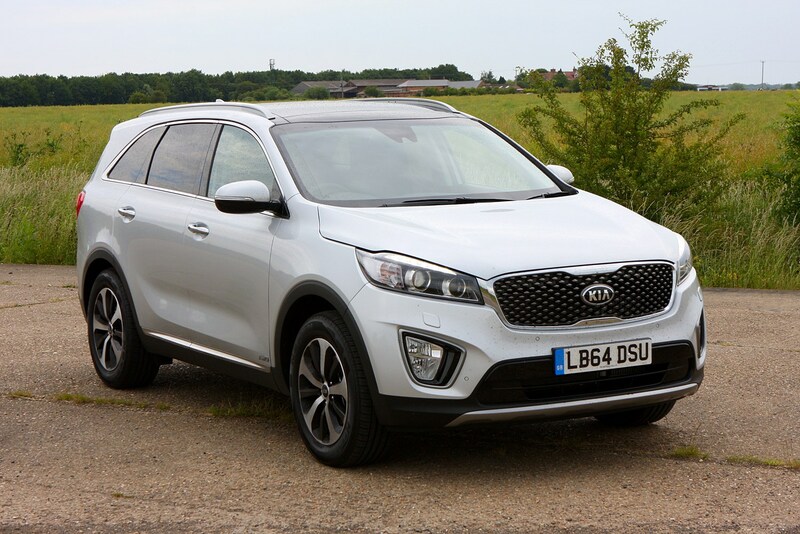 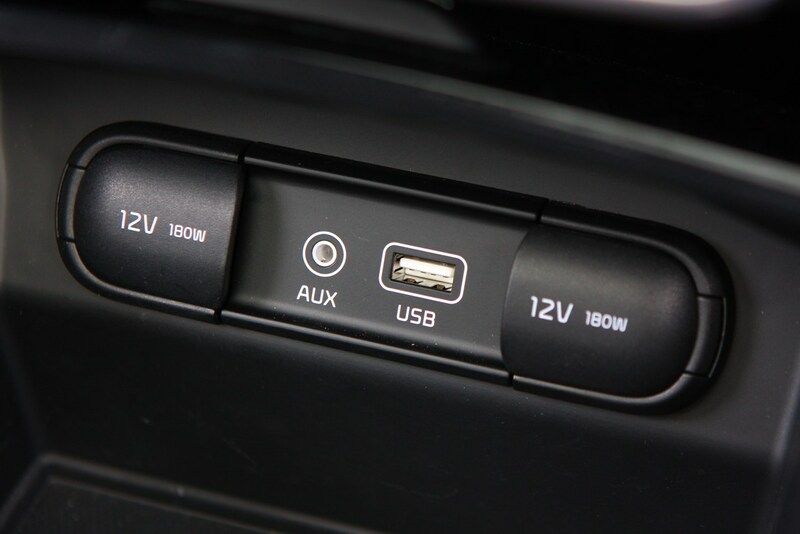 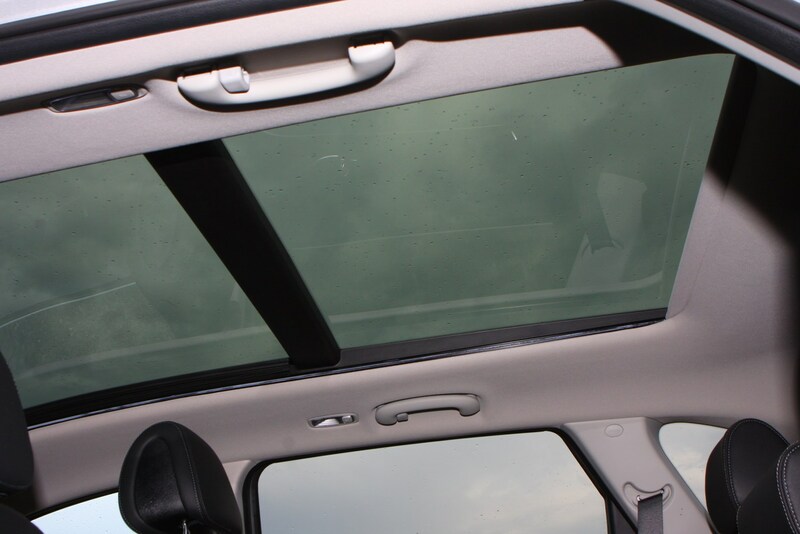 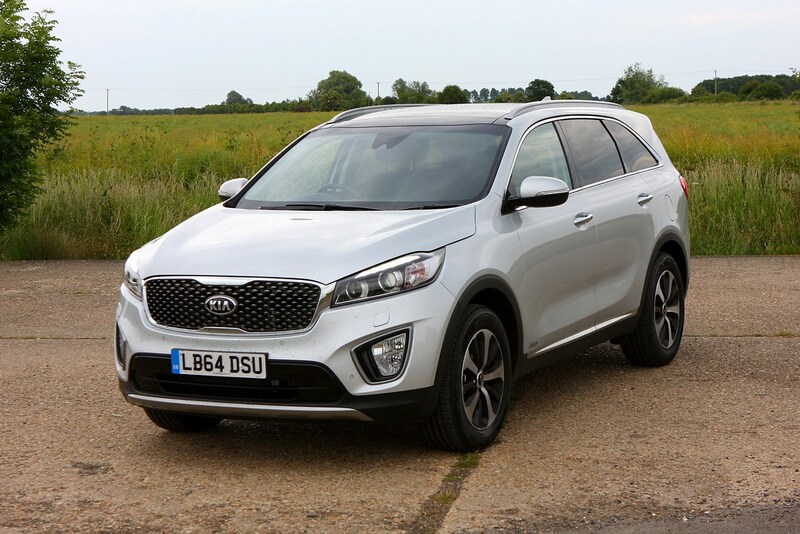 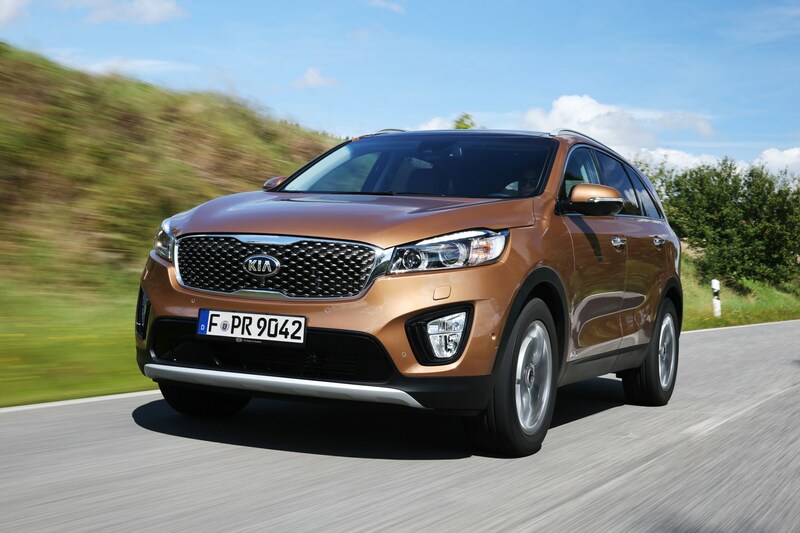 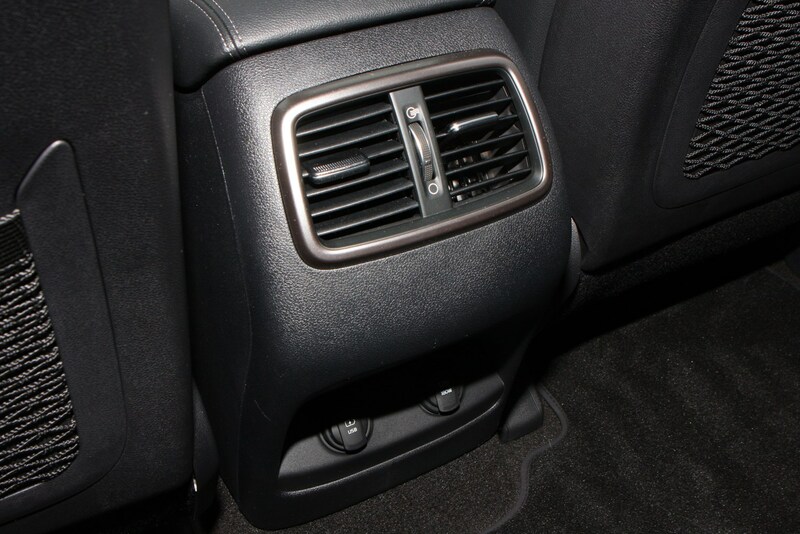 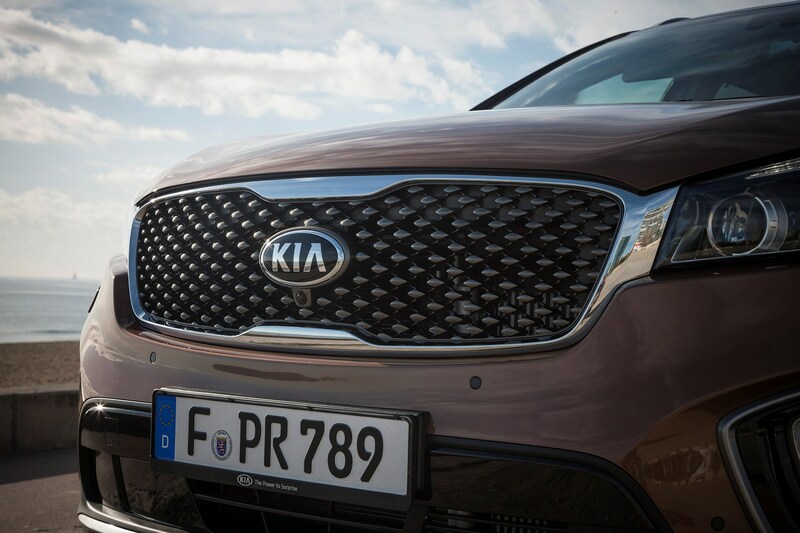 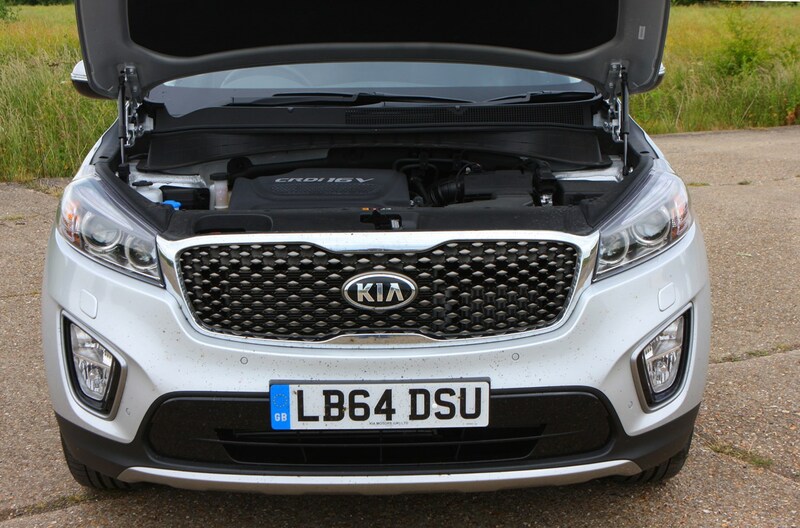 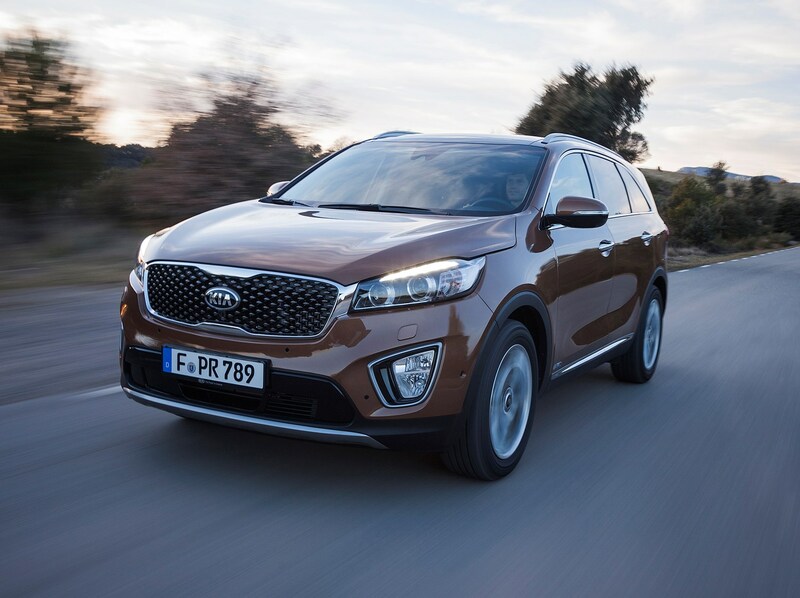 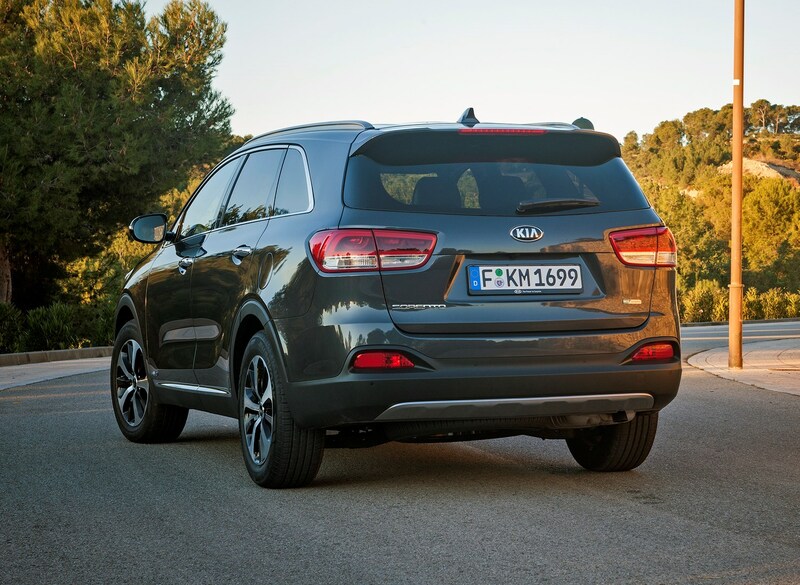 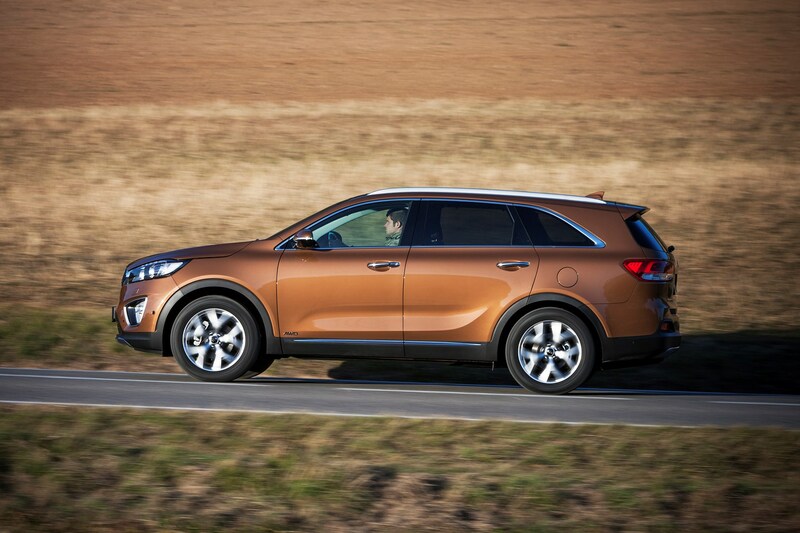 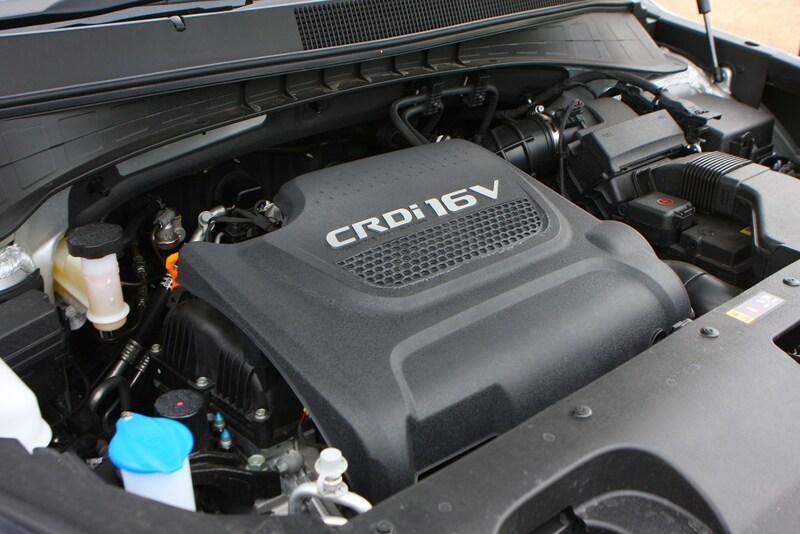 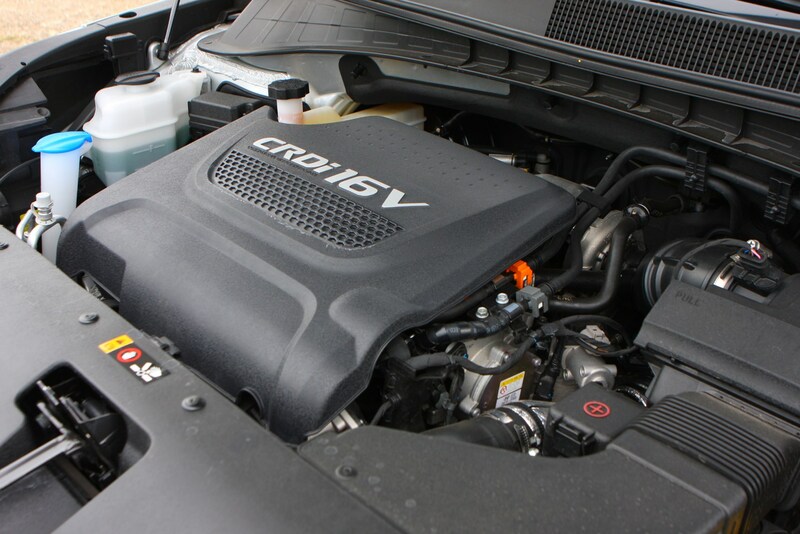 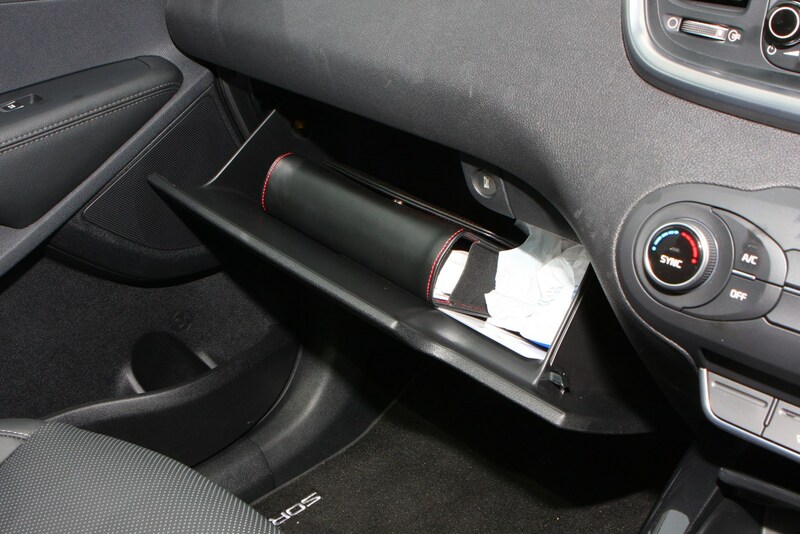 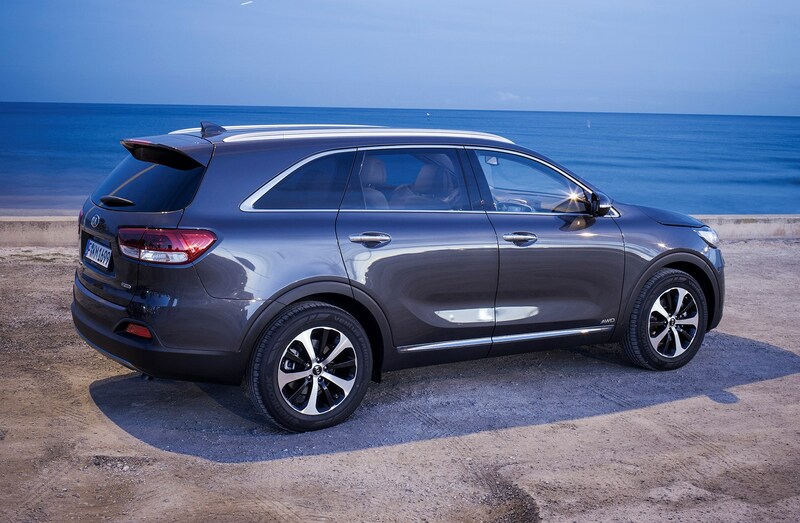 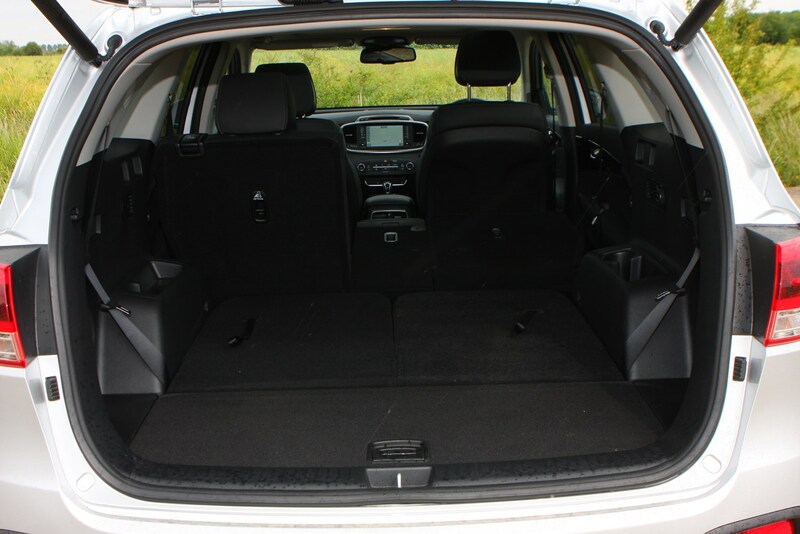 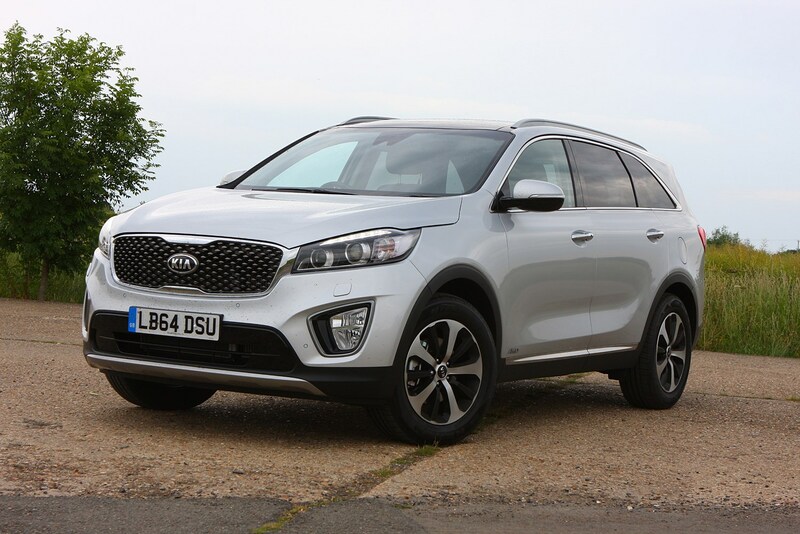 Kia’s worked hard to supress ambient noise from entering the Sorento’s cabin with extra sound-deadening materials throughout, meaning the engine note is only particularly penetrative at higher revs, while both road and wind noise are impressively subdued. 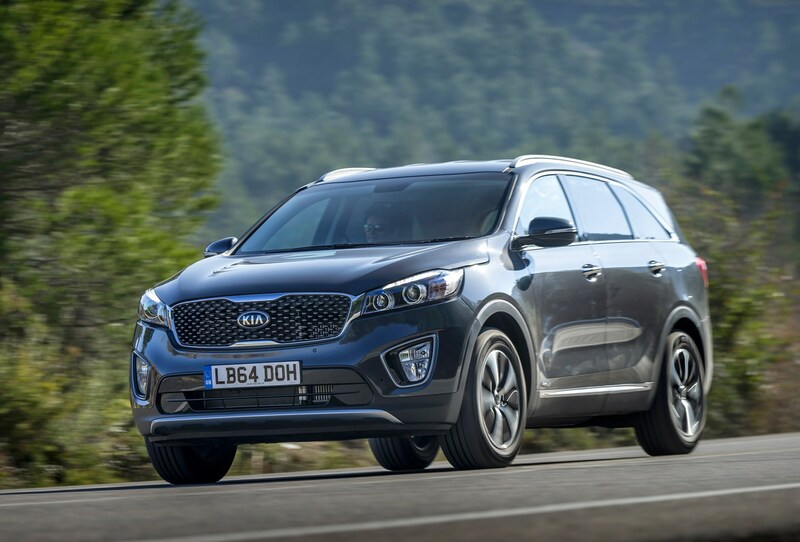 It’s yet to finalise the exact specification and pricing of the latest Sorento but expect it to start above the £27,000 mark and rise to a figure close to £40,000. 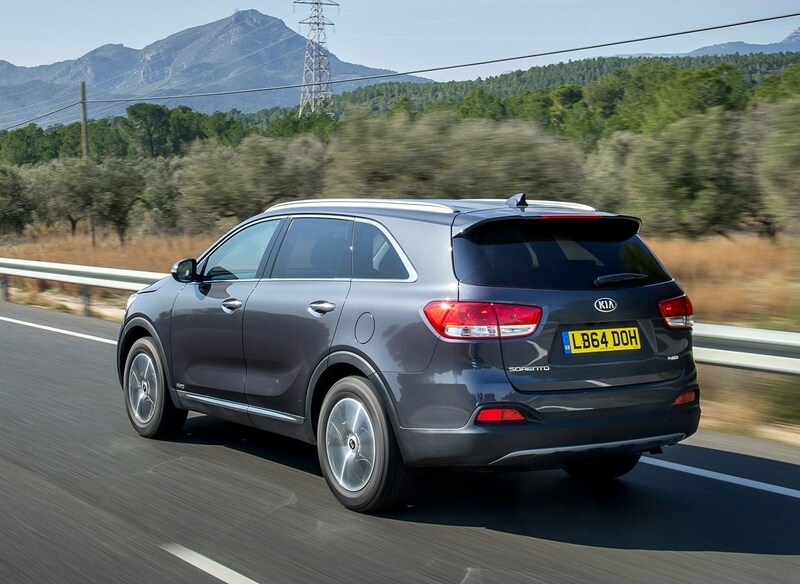 Trim levels will be familiar to existing Sorento customers, with an entry-level KX1, rising through KX2 (likely the private buyers’ favourite) and KX3, with the company-car driver appealing KX4 topping the range. 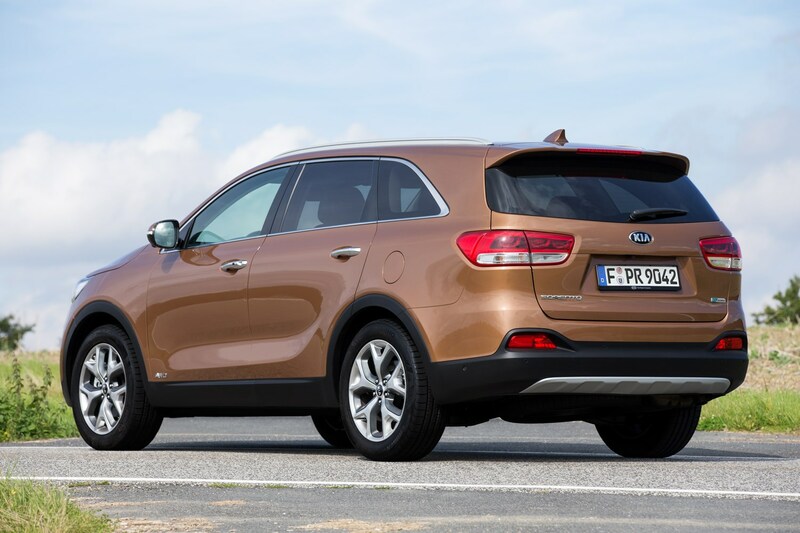 Is this package of well-judged revisions enough to tempt buyers away from SUVs with more premium badges and price tags to match? 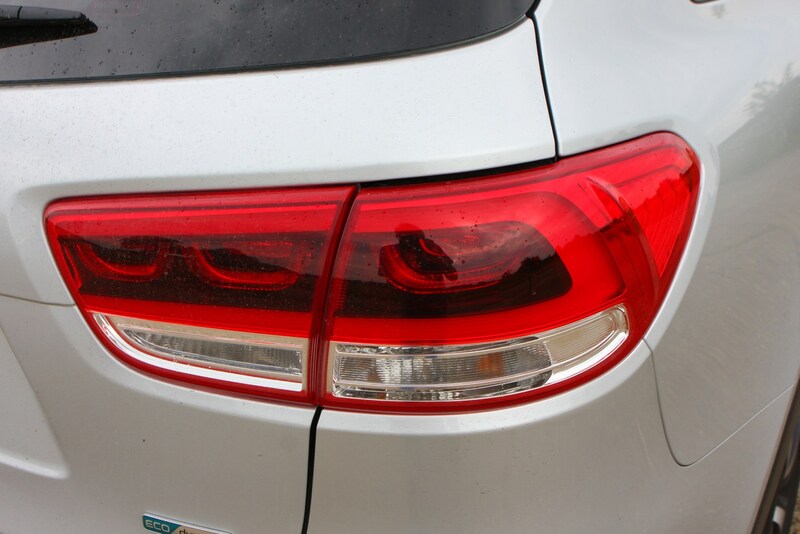 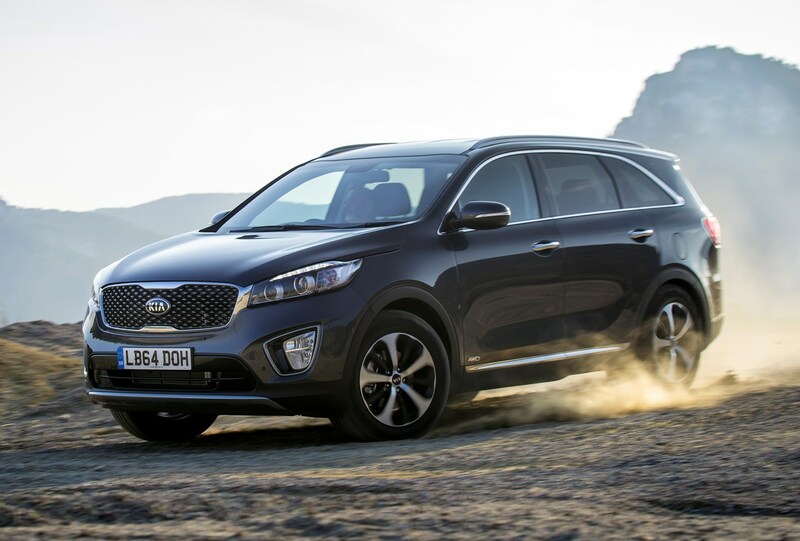 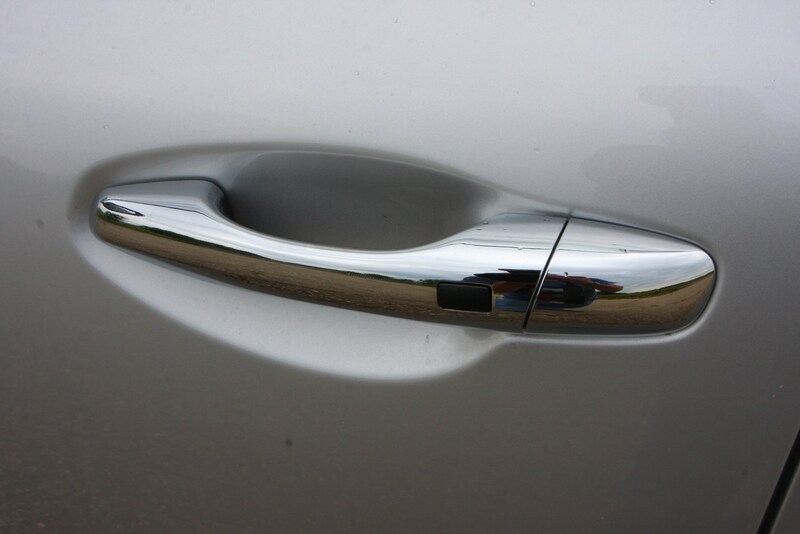 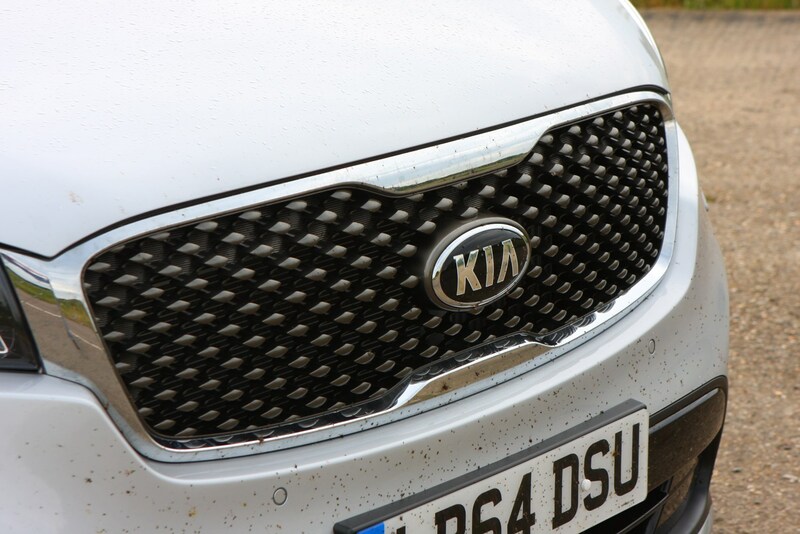 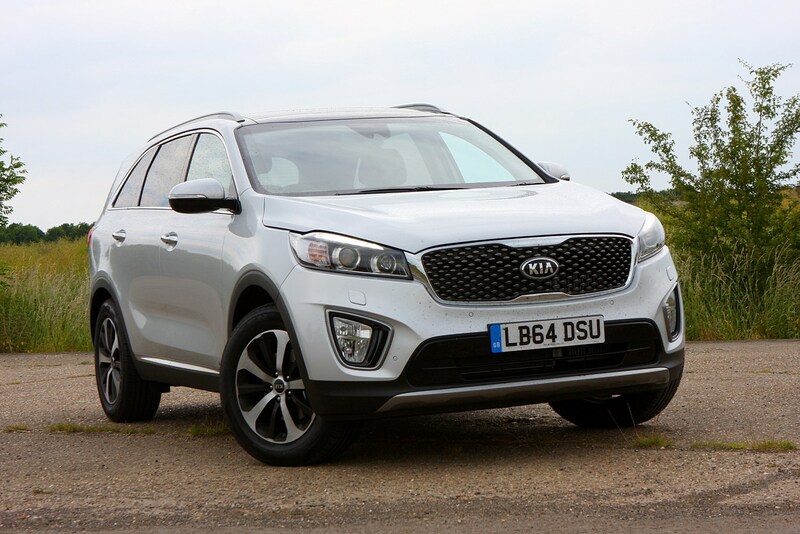 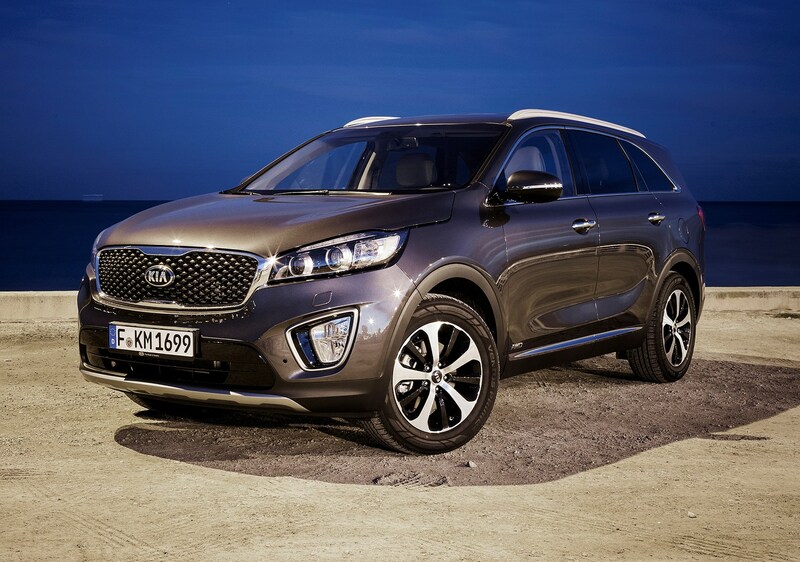 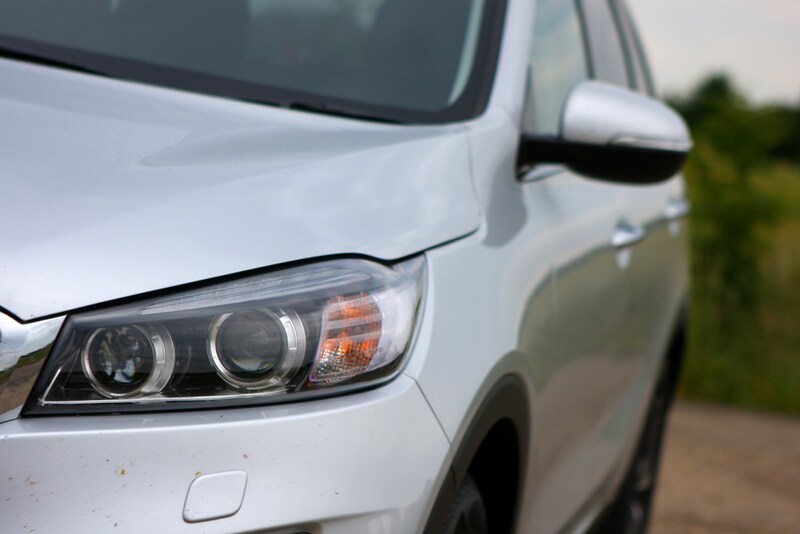 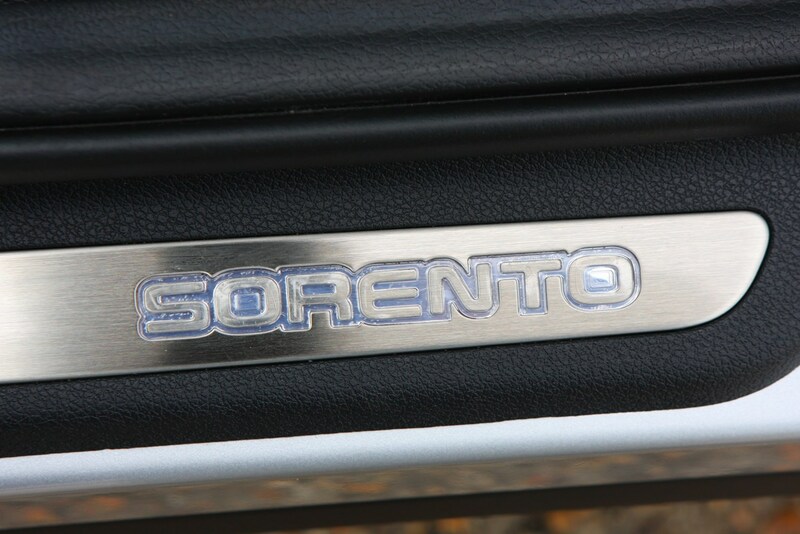 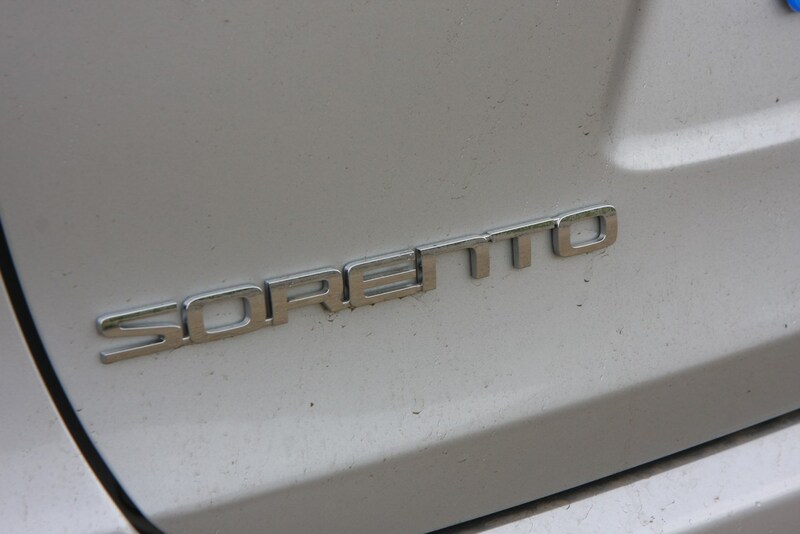 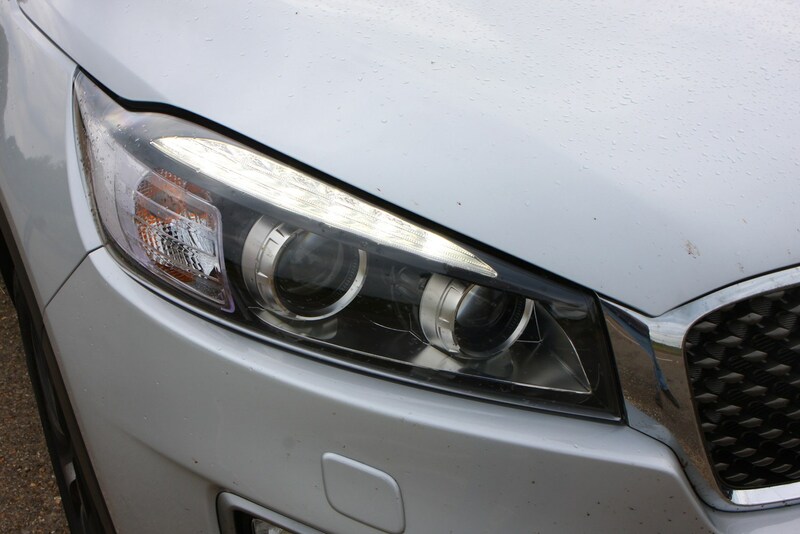 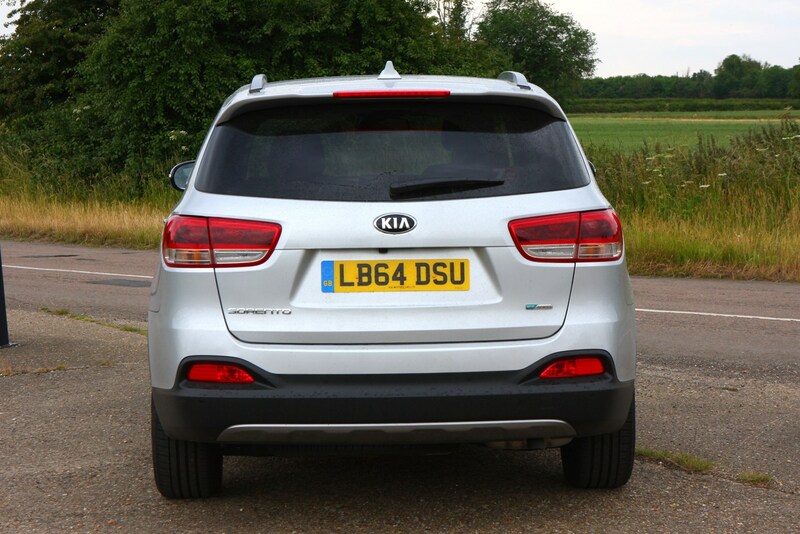 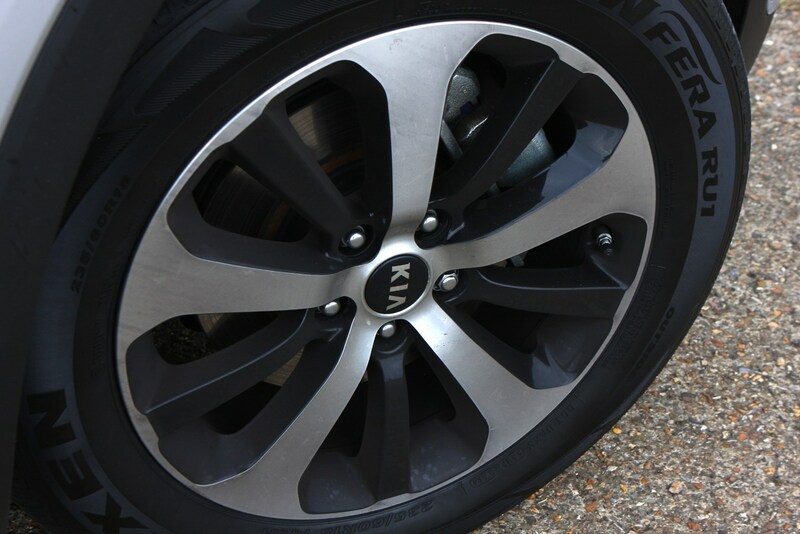 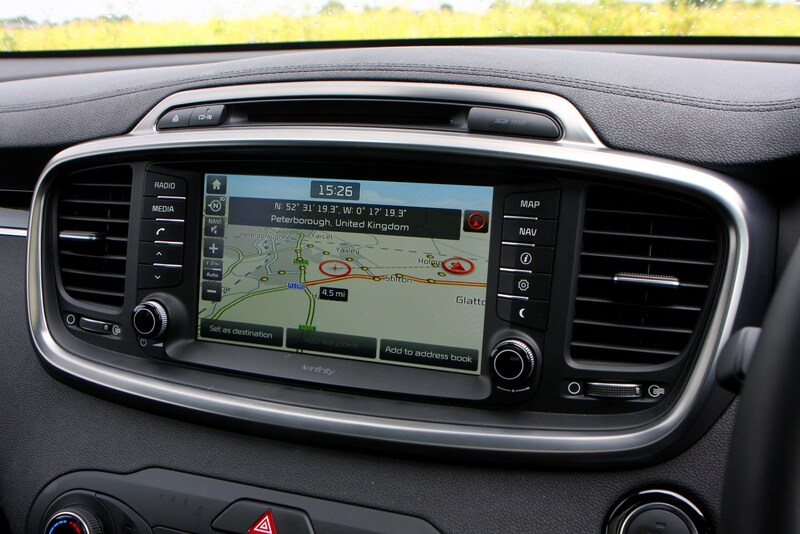 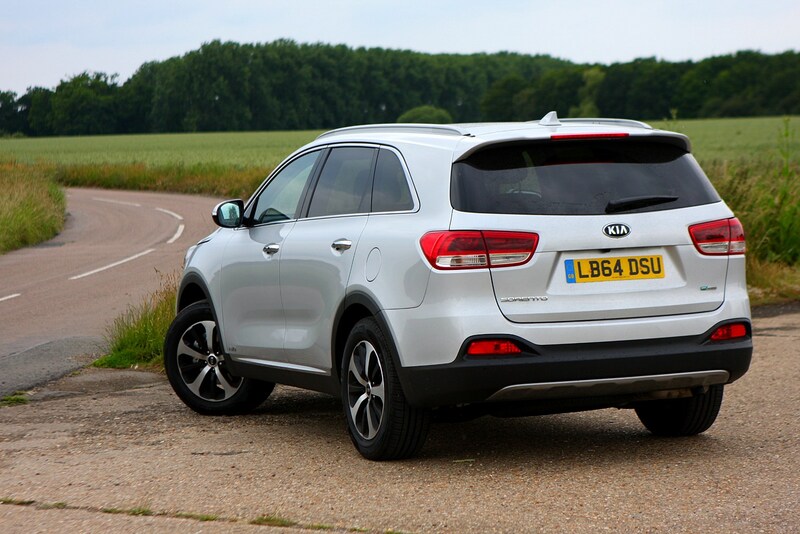 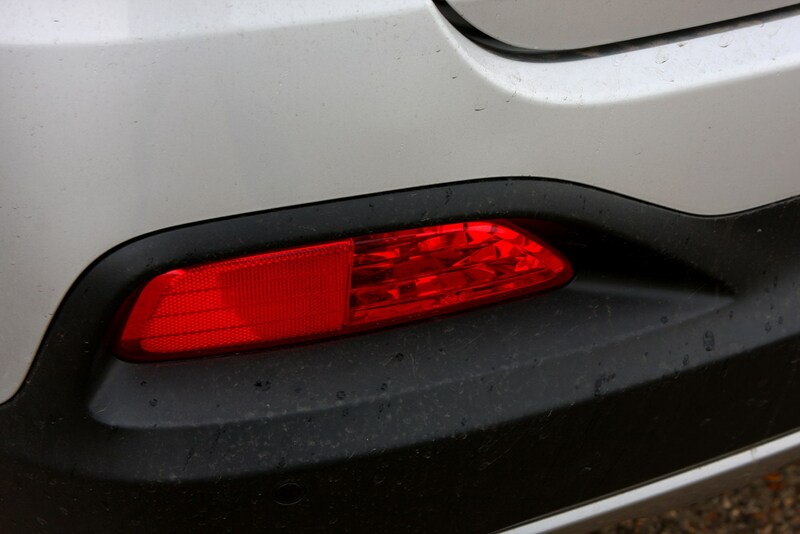 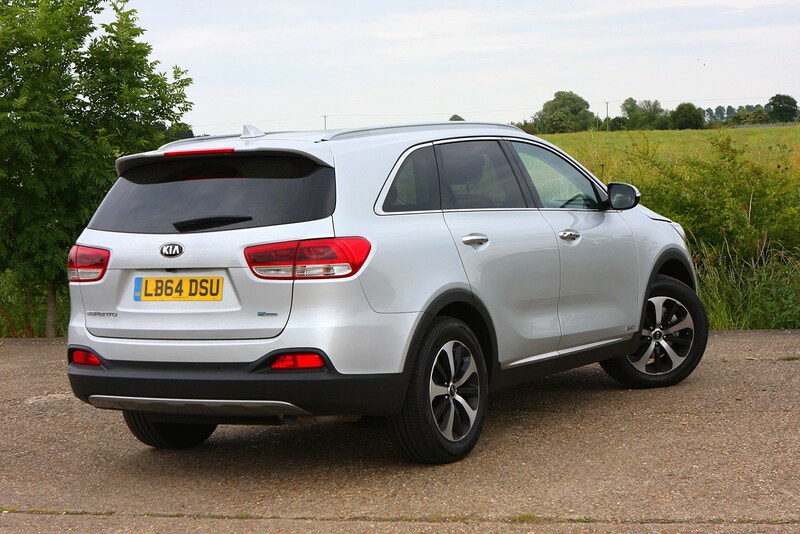 Read Parkers full new Kia Sorento review to find out.